6:56 AM The lottery in North Carolina is now inevitable, despite weighty objections. It only remains for the governor's signature, which it will get because "we need more money for education" has become a sacred cow. Yesterday was a tragic day in the Tarheel State. 6:50 AM The latest addition to our home page is called To Blog Or Not To Blog? 6:45 AM North Carolina Baptists at their very best. 6:42 AM When I read this story about a new cleft palate surgery I thought of our precious little Midnight who was born with his lip connected to his nostril. 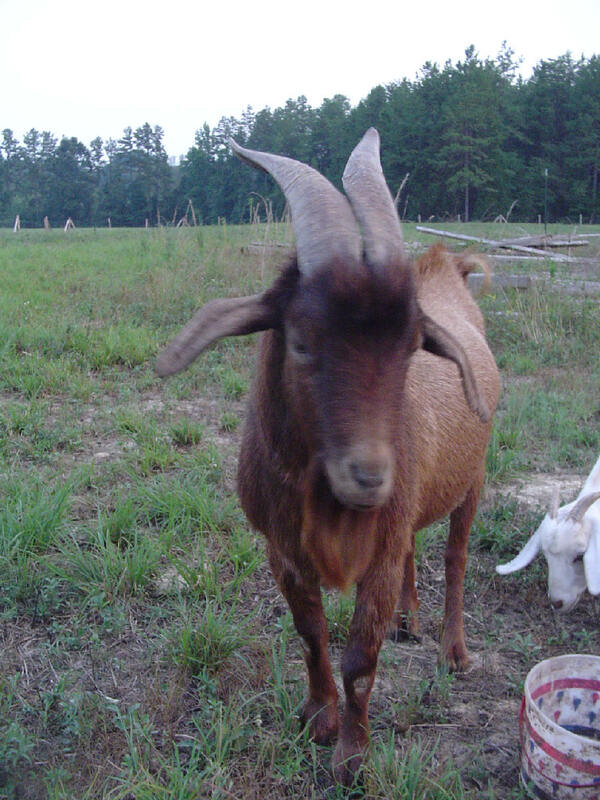 By the way, both he and Snow Ball have now joined their friends in the pasture and are doing fine. We are still bottle feeding them three times a day, but they have begun nibbling on grass. Ahmed and Nigussie have come back from Alaba with a Wonderful News. It is a story of God’s Miracle. I am not sure whether they have already informed you about it. During their short stay in Alaba they would show the Jesus film in different places. One day they were showing the film in the place where Ahmed’s father lives. After having seen the film, over 30 people have come to the Lord. This is something incredible. Winning even one soul from among the Muslims is very amazing let alone this many. That is the evidence of the Lord’s move in Alaba. Everything is possible with the Lord! I was praising the Lord for the wisdom that he gave you to bring the Laptop for Nigussie. The Lord knows how he does his job with his children who listen to him. You have a great part in this miraculous work of our Lord Jesus. Praise be to our Lord. The film could make the Gospel much easier for them to understand the Love that the Lord has for them. Ahmed’s father was there watching the film with other Muslims but he could not be one of those fortunate at this time. The Lord may win him for himself some time in the future. I hope that Ahmed and Nigussie will tell you the description of this Great Story in full detail. 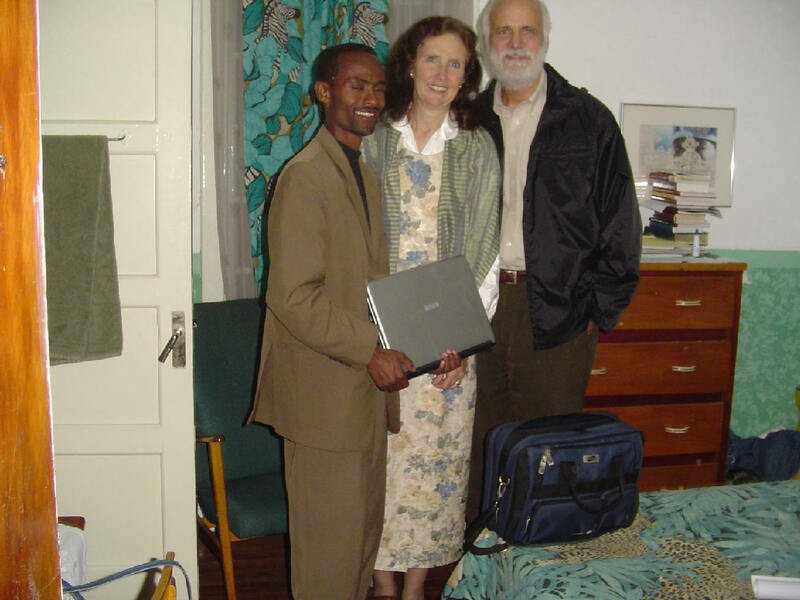 Below: Becky and I presenting Nigussie with his laptop during our stay at SIM headquarters in Addis Ababa. If Calvinism is an enemy to missions and evangelism, it is an enemy to the Gospel itself. The Great Commission and the task of evangelism are assigned to every congregation and every believer. The charge that Calvinism is opposed to evangelism simply will not stick--it is a false argument. The Doctrines of Grace are nothing less than a statement of the Gospel itself. Through the substitutionary work of Christ, God saves sinners. The great promise is that whosoever calls upon the name of the Lord shall be saved. 6:26 AM You might have expected C. S. Hayden to publish a review of David Bakan's book Adolescence in America. 6:22 AM Christian yoga: oxymoron. 6:57 AM We just received word that one of our Ethiopian "sons" is now an official member of the faculty at the Evangelical Theological College in Addis. 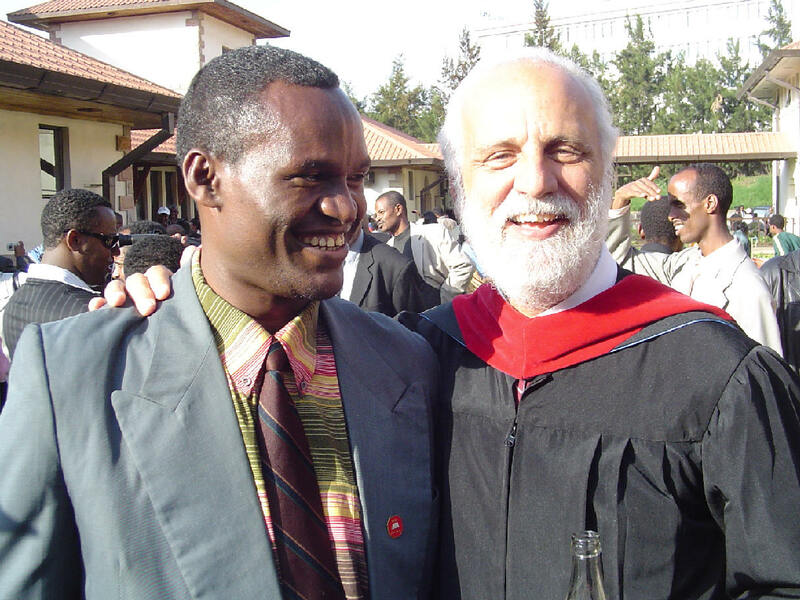 Fasil will be teaching New Testament and Greek. Everyone there is excited, and so are we. Congratulations, Fasil! 6:38 AM Yesterday was one of those end of summer days that one simply savors. 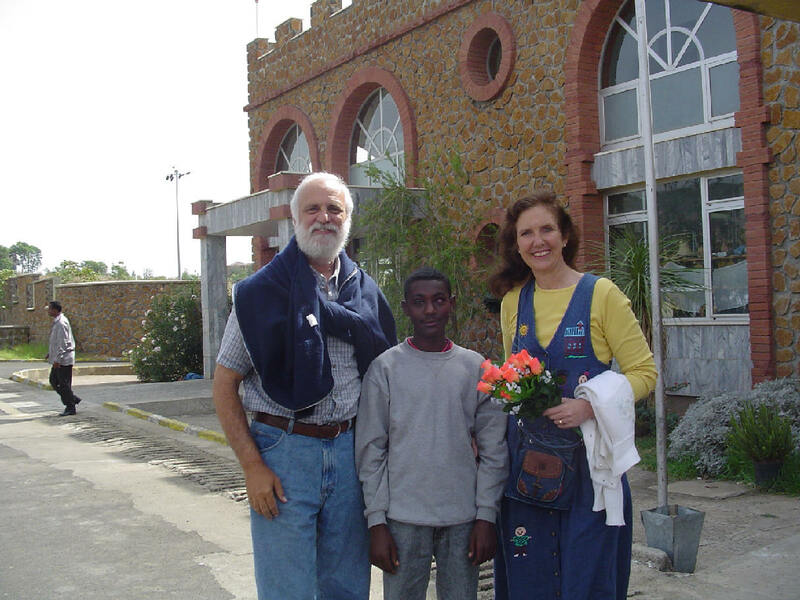 It began with an exciting early morning email stating that Bereket had just been released from the hospital and was being cared for at the Mennonite College in Addis. Then it was off to the goat barn to bottle feed my babies, who are almost big enough to spend their days in the pasture with the big girls. I cooked eggs and toast for the family, then it was off to work. Nate and I spent the day working on fencing -- using woven wire with one strand of barbed wire at the top -- and actually got quite a bit done despite the humidity. No lunch, though I did have a delicious homemade chocolate cupcake as a snack. At 7:30 pm we were ready for a gargantuan supper, and Becky did not disappointed us -- pot roast with farm fresh taters, maters, and corn on the cob. 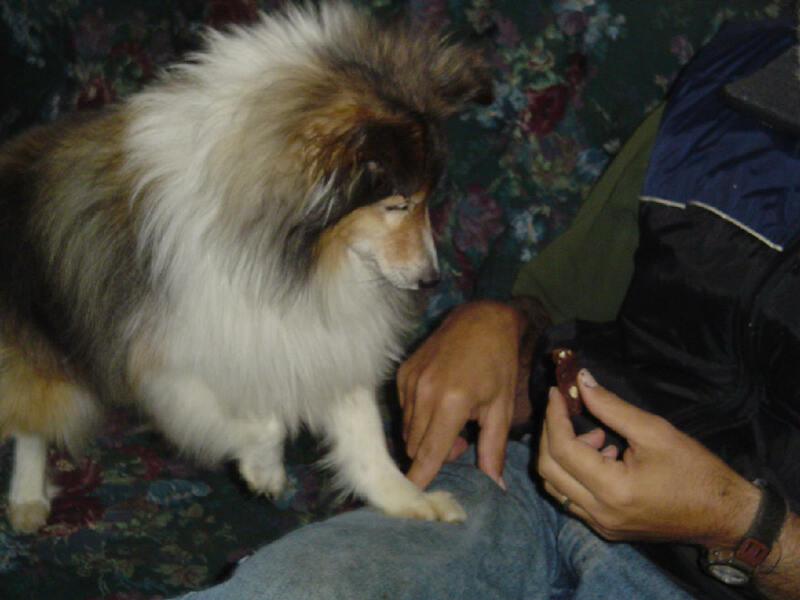 What better way to top off the day than to read a good book while snacking on pop corn, along with my doggie, of course. Like I said, it was a day to savor. 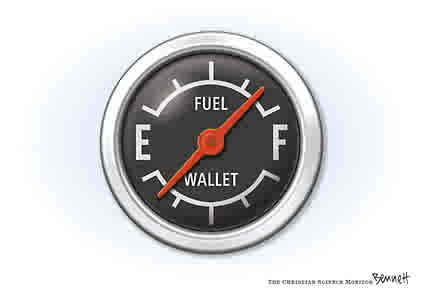 7:18 AM I actually found gas for 2.47 this weekend. 7:15 AM What do these words have in common: academy, democracy, economy, history, and pandemonium? They're all borrowed from this language. 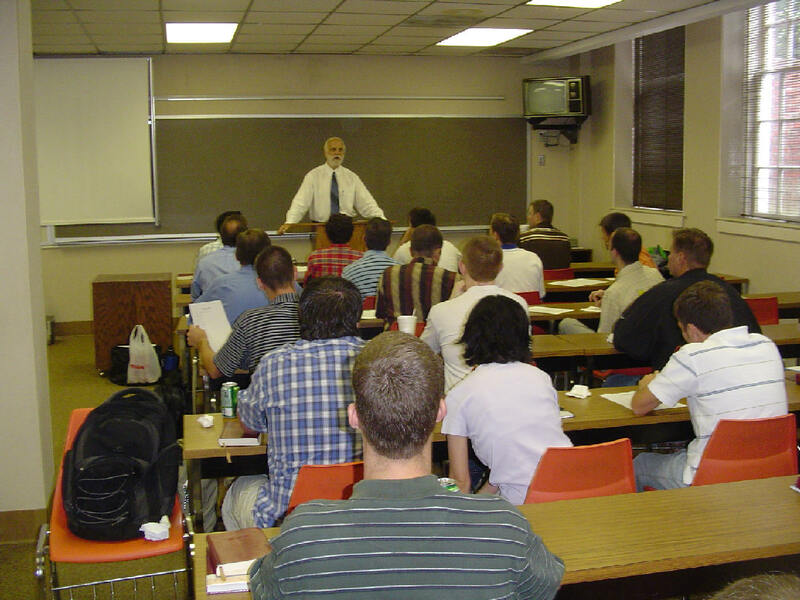 7:13 AM When I taught at Biola University our students learned classical Greek before they were introduced to New Testament Greek. This was both chronologically and logically sound, even though the classical language is more difficult to learn. Anyone learning only the Greek of the New Testament would do well to know how classical Greek differs from the Koine, and here's a good place to get that information. 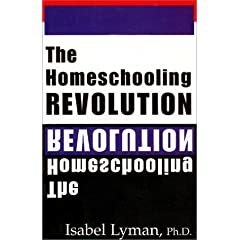 7:10 AM Isabel Lyman, erudite educatrix, is an expert on the homeschooling revolution, as this chapter from her book shows. As she notes, the question is no longer "Why homeschool?" but "Why not homeschool?" If you're still a g-school fan, check out her essay. Izzy also maintains a great website. 7:05 AM We are expecting this to be a busy week here at Rosewood Farm. Despite the rather daunting nature of the work, my son and I will be setting cedar fence posts today in preparation for establishing a new pasture (rotation of same being a key to successful livestock raising). With the ground as hard as rock it may take us a long time. 7:03 AM There is a rich and growing supply of wit and wisdom at the Dow Blog. Darrell, welcome back to the bloglesia. You were gone too long. 7:00 AM Strange things are afoot in New Testament Gospel research, not least in the area of Q studies. But there is hope. Now if we could only get scholars to read the church fathers again on the topic of Gospel origins. 8:55 AM I gave this quiz to my Richmond class yesterday. See how well you do! 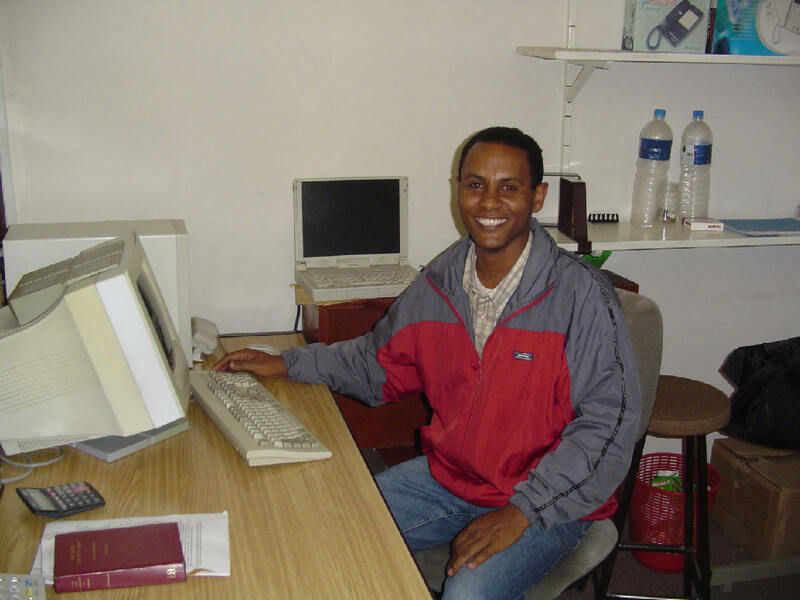 9:32 PM Just got a nice email from a friend of ours named Tesfaye, who is from Jimma in Ethiopia. He is a very tall gentleman to whom we sent some shoes a few weeks ago. He just informed me that they fit. That is so coooool! 9:29 PM Already the response to our list of projects to help the Ethiopians has been overwhelming. More on this later: I am a bit too moved to talk about it right now. 9:21 PM My son, the organ proficionado, found this essay about the world's largest organ. Amazing! 9:17 PM A big Saturday shout-out to Jerry, Tom, Jeremy, Dennis, Chris, Lisa, Matt, Clint, Preston, Les, David, and Clinton -- my Richmond students. This weekend we covered such topics as the origins of the Gospels and textual variation in the New Testament. Next time we'll cover supposed "contradictions" in the Gospels, the deity of Christ, and Jesus' age-twelve and age-thirty transitions, among other things. Keep up the great work, guys and gal! 11:50 AM I'm sure glad to have Becky by my side. Makes life wonderful. Below: Greek Exegesis of Mark just getting underway with students enjoying home-made blueberry muffins lovingly prepared by Becky. 8:37 AM Several of you have asked how you might help the work of God in Ethiopia. Here is a list of ideas Becky typed up. Feel free to join us as the Lord lays a burden on your heart. 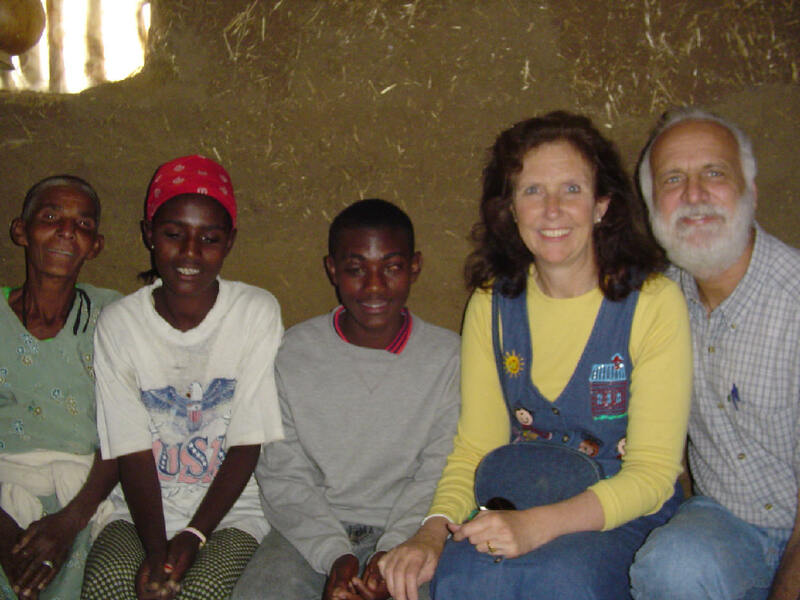 The following projects are being funded and administered by Dave & BeckyLynn Black, in conjunction with the churches in the Alaba and Burji districts in south-central Ethiopia. The Alaba church is a group of 10 churches in an aggressively Muslim area. These churches are currently suffering severe persecution, as people in the area burn their churches, ransack their homes and kidnap/murder their children. The church is strong spiritually but is in great need of material support and encouragement. The Burji church is in the far reaches of Ethiopia. It is far away from medical help, stores, etc., so they have precious few visitors to come help them. There are 26 churches in this group. The people are all farmers, and they are suffering economically because the Tsetse fly is killing their oxen that they use for plowing. The average income of these people is $300-350/year for a whole family. As their fields have suffered, their offerings that support their evangelists, etc., have declined. 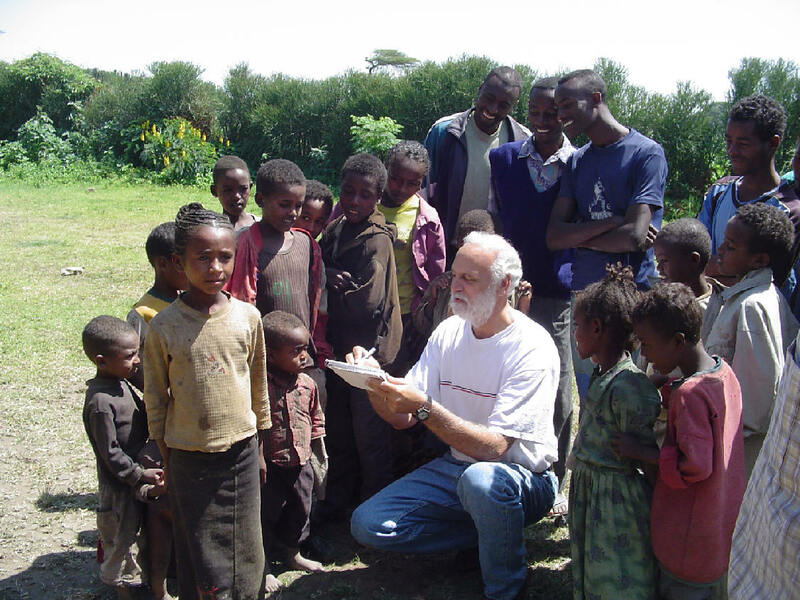 The Burji church is sending evangelists into the nomad tribes along the Ethiopia/Kenya border. Because of tribal warfare, missionaries will not go into this area, but the Burji people are going! 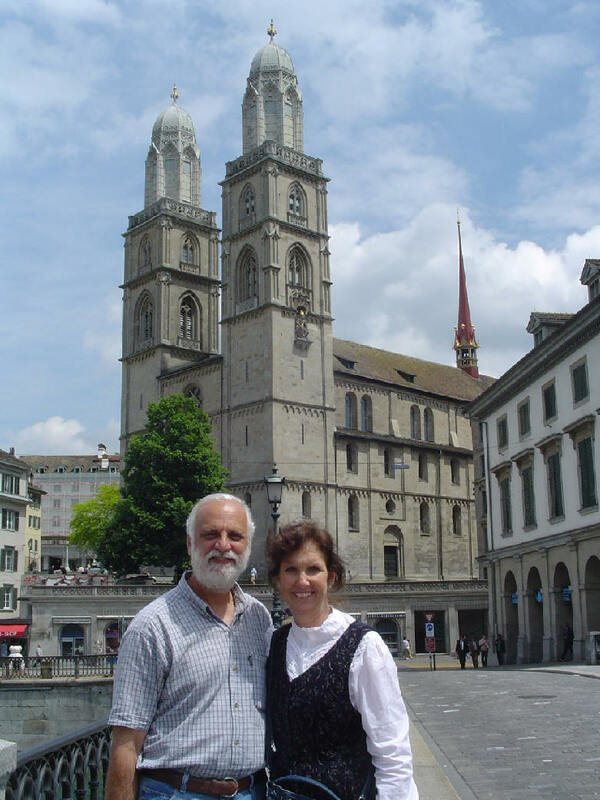 Dave & BeckyLynn have already been to these churches in person. The needs are real. The people are precious ones who sincerely are trying to work with what they have to reach their areas for the Kingdom of our Lord. In December, 2005, a third missionary trip will be made to this country. Relationships of accountability have been well established, and specific needs established. When we return in December (just a few months away), we would like to take the following with us to help them. Bibles for children: 500 children in Burji and 200 children in Alaba are memorizing 10 large passages of Scripture. Upon completion of the memory work, each child will receive their own copy of the Bible in their national language. They want to finish this memory project by the time we visit, so that they can get their Bible directly from us! Each Bible costs $3. 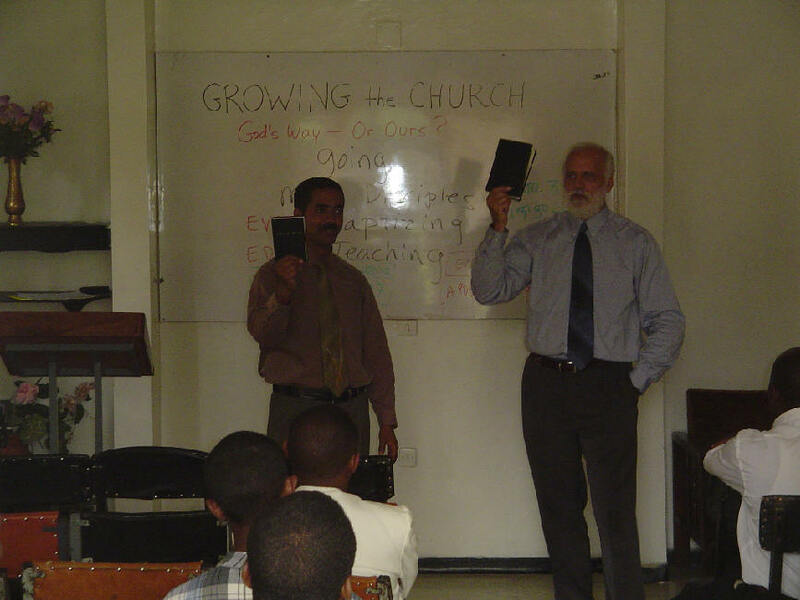 We have already made arrangements with the International Bible Society in Ethiopia to have 700 Bibles ready for us in December; we will pay $2100 for these Bibles. English/Amharic Testament and Study Book for Youth: 200 youth in Burji and 100 youth in Alaba are memorizing the 10 passages of the children, plus an additional 10 passages. Upon completion of the memory work, each youth will receive his own copy of a diglot New Testament and a book on how to study the Bible. These items were originally produced by BeckyLynn’s father, a retired missionary, and the publisher is giving us a 33% discount. We will pick up the books in December and will pay $900. Children’s Evangelism & Teaching Tools--Flannelgraph: There is absolutely NOTHING available to assist teachers in working with children. They have only their mouth & their hands to reach these young ones for Christ. Over half of the population of Ethiopia is under age 35; the numbers of children is HUGE! BeckyLynn has taught Bible lessons to classes of over 150 children; the children sat attentive for over an hour as she used flannelgraph pieces to help tell the story. Afterward, the children themselves retold the story to each other, using the same flannelgraph BeckyLynn had used, thus re-enforcing the lesson! We are taking 2 sets of flannelgraph, one for Alaba & one for Burji. We will divide each set into 8 sections and prepare lesson plans for each section. These sections can then be rotated among the churches. 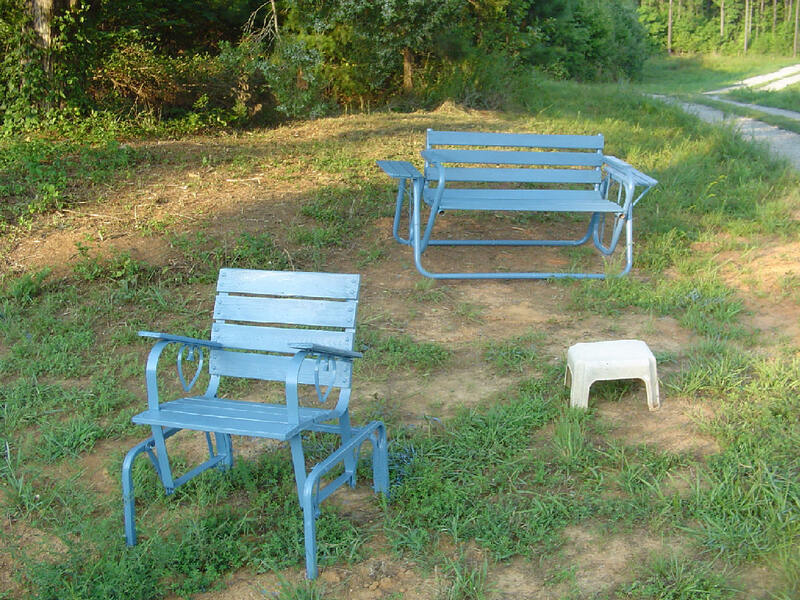 Each set is about $250; we will order these now so we can cut them and create the sections. The total cost is estimated $500. We would appreciate any help in cutting these set out! Children’s Teaching Aids—Flip Charts: We have found a ministry that has created picture clip charts and audio cassettes in the Ethiopian language! They have also made a hand-driven cassette player that is suitable for the back areas of Ethiopia where there is no electricity or batteries. The cost of the sets and 2 players for each district is only about $250. Eyeglasses: There is absolutely NO vision care available to these people. As the people age, their vision fails as they struggle to read the Scriptures by the firelight in their huts. We have already taken some eyeglasses to the Burji church and they are ecstatic beyond words to be able to see well again to read their Bibles. We would like to collect 200 pairs to be divided between the districts. Although prescription eyeglasses are OK, the most valuable glasses are the non-prescription reading glasses available at Dollar Tree and other inexpensive places. Dollar Tree charges only $1/pair! We will package each pair in a small zip-lock bag, along with a cleaning cloth. Unless we are able to get a bulk quantity directly from the manufacturer, we expect to pay about $225 total for this ministry. Books for Ministers: Each district has a small Bible school with about 20 students. The students & teachers are able to read simple English, but they cannot afford any books. We are asking for people to give us any Bible study books that they have. Commentaries, Bible dictionaries, atlases, Study Bibles and English dictionaries are especially beneficial. Laptops: The evangelists in these districts are usually alone, separated from their families. They have had a very basic Bible education. They travel between villages by foot usually. They sleep anywhere they can, and return to the district office every few weeks. We are collecting used laptops and buying new ones at the best price we can find. We are buying extra batteries, word processing programs, the Jesus Film, and CDs with a library of books in Amharic and English. Already we have given one laptop to a young man in Alaba; he is using it to prepare Bible study notes, show the Jesus Film, and read Christian library books. It is a TREMENDOUS help to him! We would like to gather or buy at least 4 more. If they are taken into the country with us (or friends) then there is no customs fee. Naturally, we will teach them how to use the laptops during our visit in December. A friend has found some good quality but outdated laptops for $400 each. Total cost is about $1800-2000. In Luke chapter ten, a self-content man asked Jesus about getting right with God. The man knew that he should love God thoroughly and love his neighbor as much as he loved himself. But he didn’t want the inconvenience, the discomfort, the cost of putting that into practice. So he tried to play a game of philosophy with Jesus by asking “And who exactly is my neighbor?” Jesus’ answer: Anyone who has a need that you have become aware of. On the other side of the world our brothers & sisters are suffering through no fault of their own. Except for the grace of God in our lives, we would be in their place and they in ours. Dave & BeckyLynn cannot turn away. Do you also want to join in the giving and blessing? There is an indescribable, mystical link between sacrifice and blessing, between sharing and receiving, between faith and works. Those who sacrifice receive an extra measure of blessing; those who share what God has already given them somehow receive more from Him; those who have genuine faith always demonstrate that faith through works. If you want to join us in this venture of service, you may send checks payable to BeckyLynn Black at Bradford Hall, 2691 White House Road, Nelson, VA 24580. 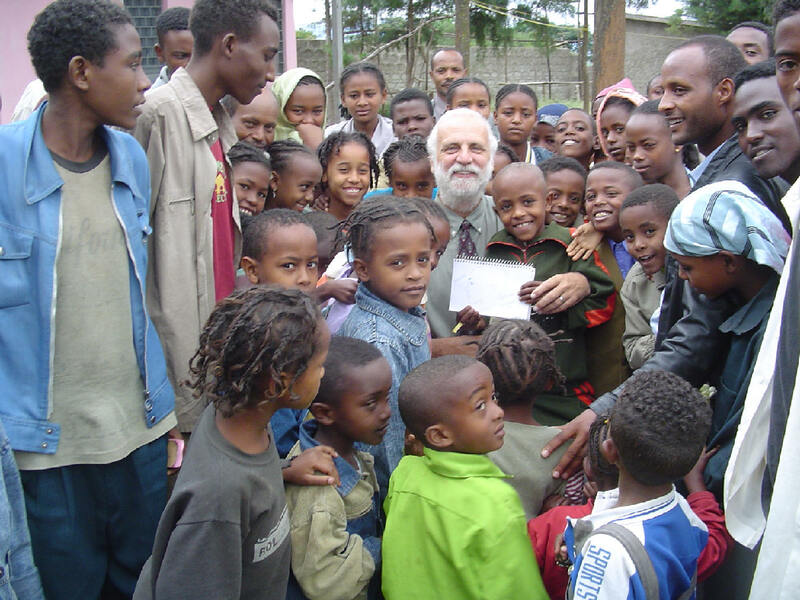 No tax-deductible receipt will be given, but you will receive a thank you from us and the Ethiopians. And you will receive a “Well done” from our Saviour. 8:27 AM I leave today for Richmond to teach a course in "Jesus and the Gospels" this evening and all day tomorrow. I always try to avoid the freeways whenever I can, so Becky and I will be driving the back roads and thus enjoying the beauty and historical sites of Southside Virginia on the way. "Wherever you are be all there, and live to the hilt whatever you are convinced is the will of God for your lives." Most of all, praise and glory and honor be to the Lamb! 8:16 AM My friend Scot McKnight of North Park Seminary honored me by contributing to works I edited on interpreting the New Testament and on the synoptic problem. Although we are light years apart on certain issues of interpretation, I have nothing but the greatest respect for Scot's scholarship and so was overjoyed to see that he has started blogging. At least he shares my hairline and my passion for German. 6:59 AM The latest addition to our home page is called Followers of Jesus. 6:55 AM I heard this story about the Penguin Classics on my drive home last night. 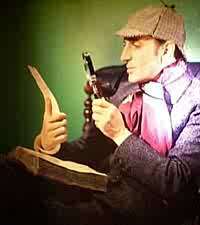 Seems Amazon.com is offering more than 1,000 titles of classic literature for under $8,000. Not surprisingly, the complete list of "classics" lacks the Holy Bible. I was glad to see this book on the list, though. 6:46 AM Help! 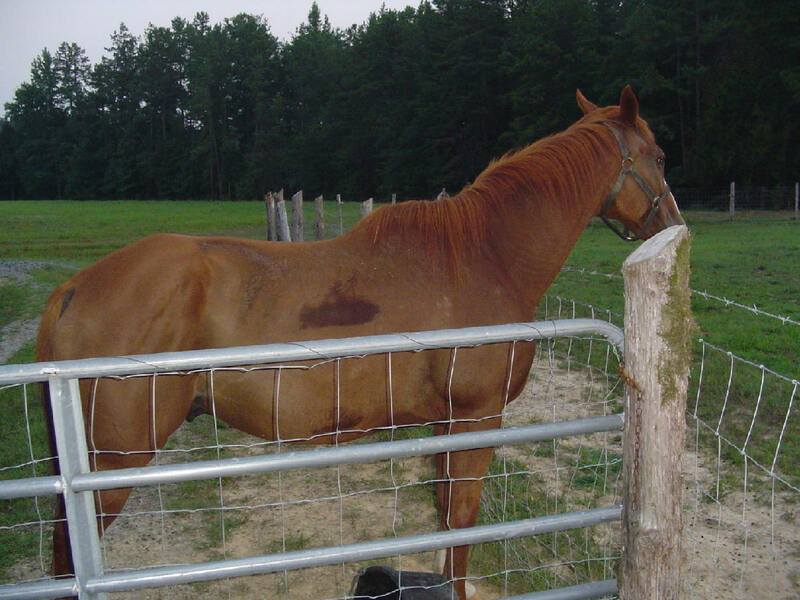 We're thinking about installing some cattle guards here at the farm. 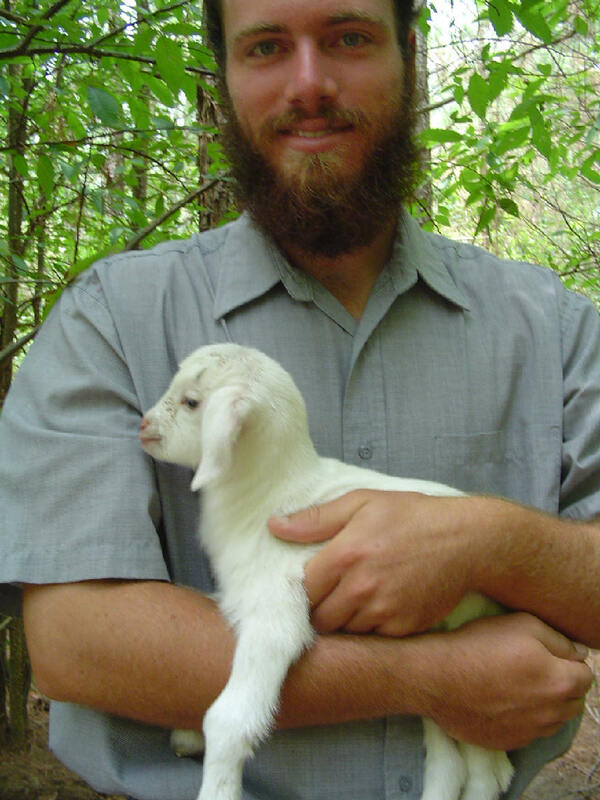 But does anyone know if they work for goats? 6:43 AM The BBC has an interesting story on an incredible discovery: a new Einstein paper. 6:36 AM For the most part, our model of church today is warped, becoming a nursing ward to provide life support for carnal believers (Heb 5:11-13). We accept carnal believers as the norm, rather than confront them and help them deal with unrepentant sin as our Lord gave instruction (Matt 18:14-22). We mold ourselves around the lowest saint's level en masse, dooming the whole body of saints to feebleness, requiring a professional clergy. The carnal believers, inexperienced themselves at the difficulty and cost of discipleship, then hold these clergy to unreal expectations and ask them to fulfill an impossible role. This breeds a whole cycle of unhealthiness and co-dependency in themselves and those they ask to lead them. A growing number of believers in churches that offer such poor example of radical commitment and little opportunity for genuine discipleship, are no longer satisfied within those constraints. Read more. 6:32 AM I heard the irrepressible John Lofton give this speech in Valley Forge. It's a classic and parallels, to a degree, my own pilgrimage. 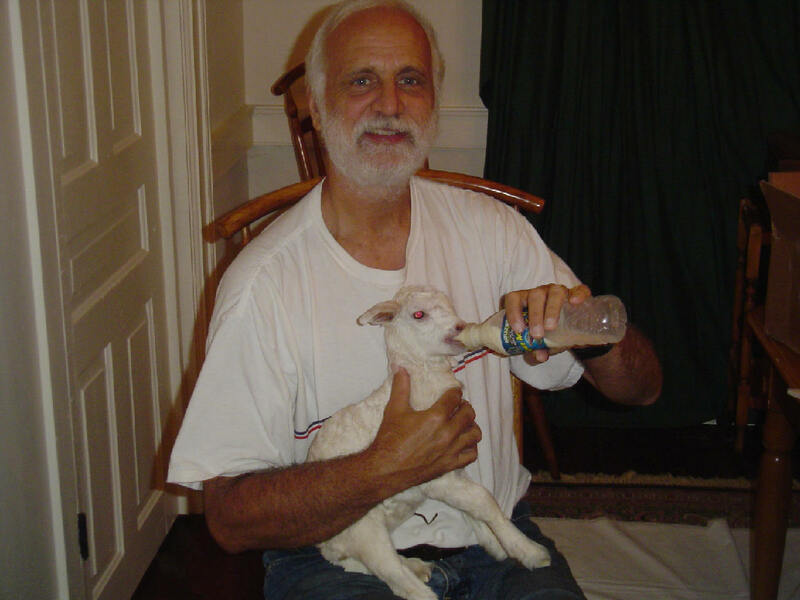 Read: John Lofton, Recovering Republican. It is our shame and disgrace today that so many Christians -- I will be more specific: so many of the soundest and most orthodox Christians -- go through this world in the spirit of the priest and the Levite in our Lord's parable, seeing human needs all around them, but (after a pious wish, and perhaps a prayer, that God might meet them) averting their eyes, and passing by on the other side. 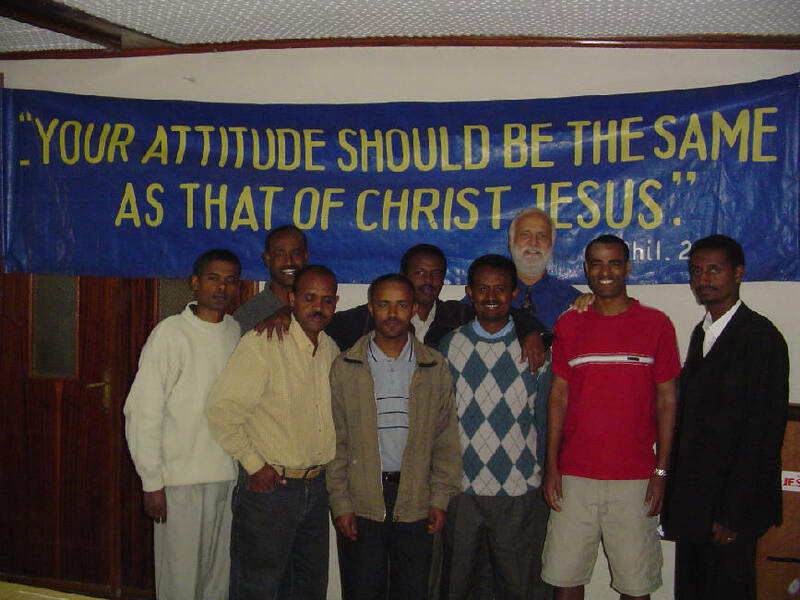 How can we explain the outpouring of love and prayer for Bereket, now recovering from eye surgery in Ethiopia, other than on the basis that the spirit of the Good Samaritan -- indeed, the Spirit of Christ Himself -- fills the hearts of so many of our readers? Friends, I cannot thank you enough for interceding on behalf of this young man who was in the gutter of life and whom our gracious Lord has redeemed spiritually and is now healing physically. Praise ye the Lord! 6:18 AM Over at Covenant News Chuck Baldwin is making Makaha-sized waves again, this time suggesting -- correctly in my opinion -- that America is heading down the same road Germany went in the early 1930s. 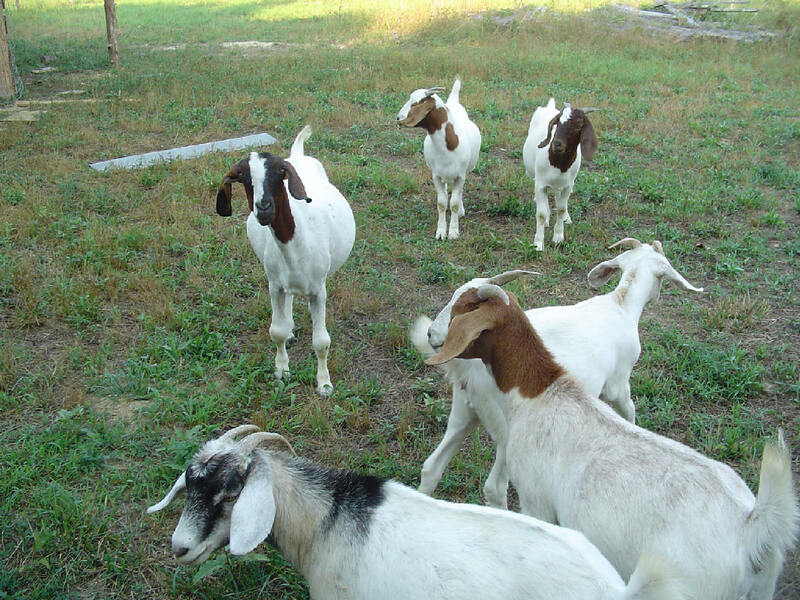 6:15 AM My wife and I had an interesting discussion the other day about the reasons Americans are so compulsive about keeping their yards mowed immaculately (residents of Rosewood Farm are a notable exception). According to Bret Rappaport, mowing is not only a waste or time (and fuel) but can be deleterious to our yards. Viva natural landscaping? 6:12 AM Steve Atkerson of the New Testament Restoration Foundation just sent me the latest edition of his book Ekklesia, a wonderful overview of the New Testament church. Many thanks, Steve, for this gracious gift, and I pray that this book, which contains several weighty essays, stirs our churches to a renewed commitment to being biblical in all we practice. 6:09 AM Yesterday's convocation service in our seminary chapel was packed to the gills, and we were treated to the best message I have ever heard on the love chapter, 1 Corinthians 13. Becky Lynn and I are ordering several copies for friends, but you can hear this outstanding expository sermon by going here. In all of his chapel messages Dr. Akin, our president, is a stellar role model to our students of how to preach in a vibrant and interesting manner while being absolutely faithful to the biblical text. I cannot commend his messages highly enough. 6:47 AM STOP THE PRESSES! 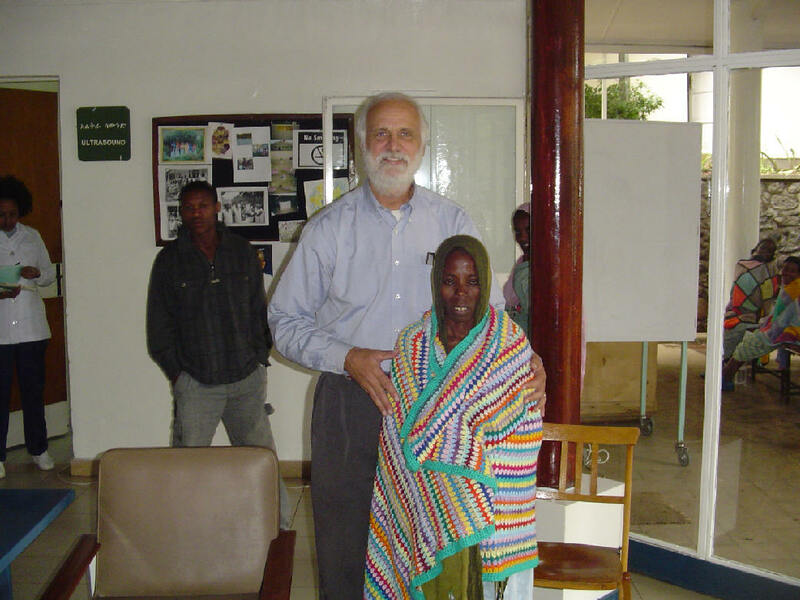 Bereket's cornea transplant was a success! I just returned from the hospital. Bereket had his surgery and it went good. Dr. Yonas was the one who did the transplant surgery. Bereket is doing okay. I took him fluid ('atemet' Ethiopian soup) and real soup. I will check with him this afternoon. One of the MK College students who came from Gondar is attending him. Class will begin next week. The Lord is so good in arranging all we needed. 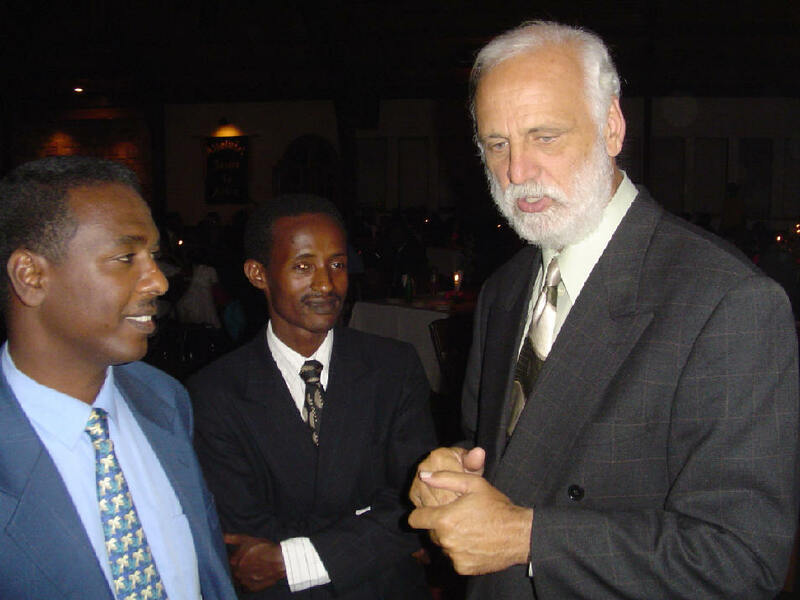 The timing is perfect for this guy to be with Bereket. He stays with him the whole day (day & night). I will keep you update. I have read the things (you sent me last time) he needs to be aware of before he went to the hospital and he has that list with him so that Mulugeta (the MK College student) will be reading for him. This is wonderful news. "MK" stands for "Meserete Kristos" -- the name of the Mennonite College where Bereket will be recovering. You may recall that this is where he found salvation during his first operation last year. Many thanks for praying for our dear "son" in the Lord. 6:40 AM If by some miracle we were able to produce accurate membership statistics in our churches, we would be doing the cause of Christ great good, in my opinion. 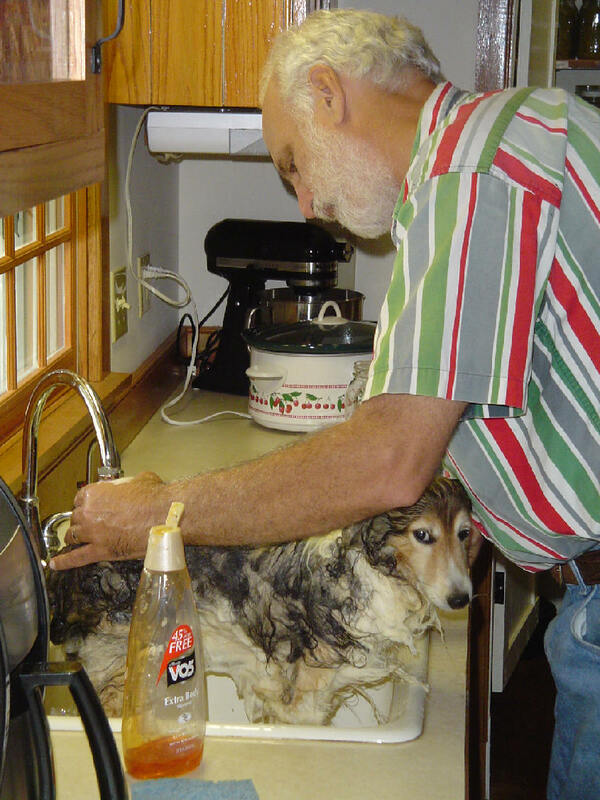 I've long suspected that Reformed Baptists would have to take the lead in restoring some sanity in this area, and Tom Ascol is proving me right with his latest blog entries. 6:34 AM I will be back in Richmond this weekend. On one of our trips there I hope to revisitthis museum that features a man whom I greatly admire for his courage, character, and faith. 6:23 AM The latest addition to our home page is called Why Evangelize? 6:20 AM A big Tuesday shout out to my friend Dr. Rick Melick and his graduate students -- Tim, Mike, Josh, Aaron, and others whose names I've forgotten-- at Golden Gate Seminary in Mill Valley, California, with whom I passed a delightful 45 minutes yesterday in a phone interview. We talked about discourse analysis, etymologizing, New Testament lexicography, and other topics. They had just read two of my books on linguistics. I think doing an interview with an author is a great idea and I hope to implement it in my own classes this year. 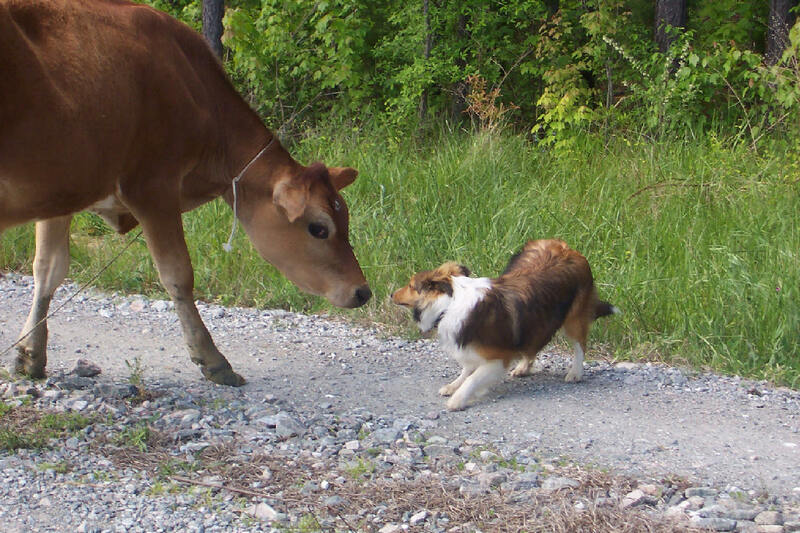 6:15 AM I never cease to marvel at just how different our animals are -- from our tireless Shelties to our rambunctious goats to our imperturbable cows to our powerful horse to our beautiful hens. It's just pure entertainment, that's what it is. Pure entertainment! 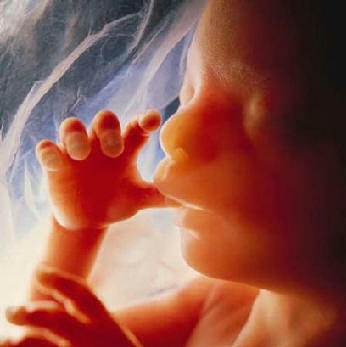 7:55 AM According to Dr. Patrick Johnston, Ohioans can do something now to stop aborticide in their state. He is referring, of course, to House Bill 228. To read the bill, go here. 7:50 AM Please continue to join Becky and me in praying for the political situation in Ethiopia. Here's the latest (along with some helpful links) from the BBC. 7:46 AM We just received some photos of the farm taken by Jonathan and Ashley Erdman, a young seminary couple who spent a few days with us at Bradford Hall last May. They stayed in our most popular guest room, the Renn Room. 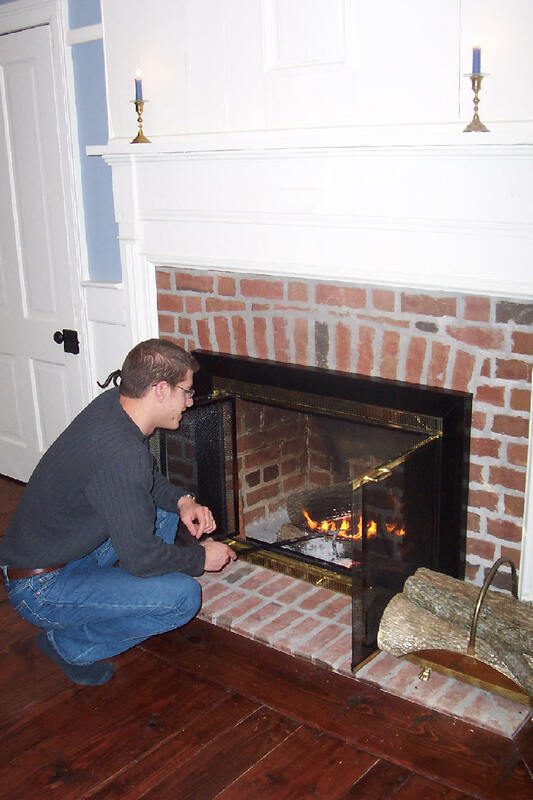 Here's Jonathan stoking its cozy fireplace. 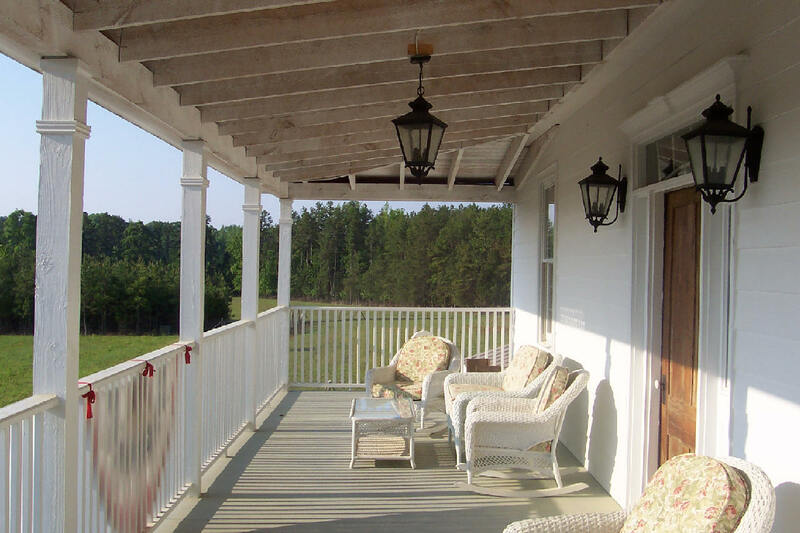 Guests have the entire upstairs porch to themselves. The view of pine forests and pastures is lovely. Visitors are always welcome to lend a helping hand if they like. 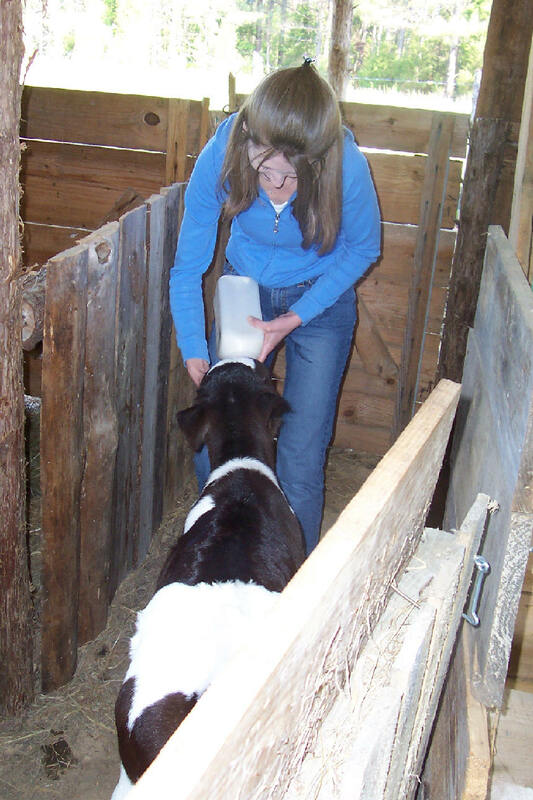 Here Ashley bottle feeds one of our calves. 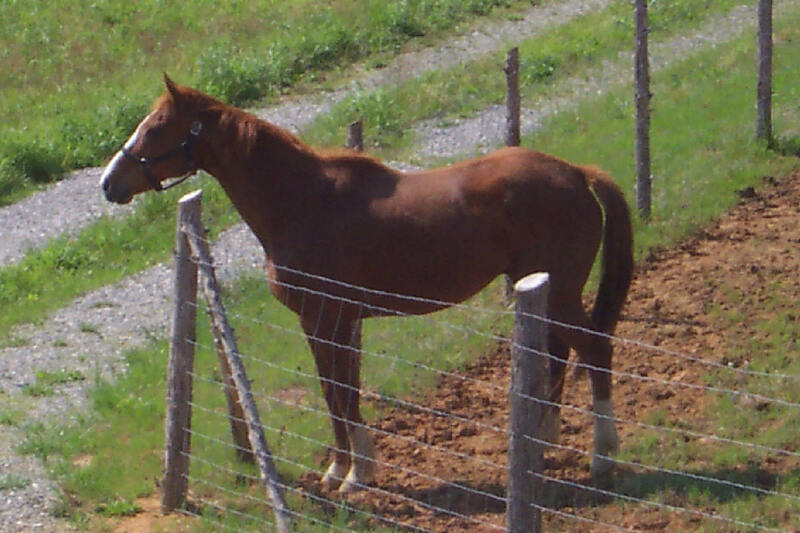 Jonathan did me a favor and snapped some shots of my Thoroughbred. Thanks, Jonathan and Ashley, for sending us these wonderful pictures. We thoroughly enjoyed your stay with us. 7:30 AM Just 5 days until my New Testament class in Richmond begins. It's been several years since I taught in Richmond and I look forward to meeting the students there. 7:18 AM Monday morning shout out to all our wonderful friends at Meadowview Nursing Home. It was fun singing for yall yesterday. And don't worry, Miss Davis. Nathan will be back with us next time. 8:23 AM If you're at all interested in New Testament interpretation you'll want to check outExegetitor. A hearty DBO welcome to the blogosphere, Mike. I am currently writing an essay on the Greek word for "elder." I think you'll find it interesting -- should I ever get around to publishing it. 8:20 AM At the Orange County Weekly, Jeremy Rosenberg notes that Dr. Schuller's daughter has a view of creation that is, well, interesting to say the least. Welcome to the Church du Soleil. 8:15 AM Those of us trying to master French have our work cut out for us, especially when it comes to correct pronunciation. But there's help, and here's a sample of it. 8:12 AM At Vern Poythress's website we find a bold article dealing with helping boys become men. Even restaurant owners have this one figured out. No ordering from the children's menu after you're 12! 8:10 AM House churches are not a panacea, writes Adam Graham in a good piece over at The American Daily. But then again, no church is. The real question is: Is there a biblical pattern for a Christian assembly? I think a person is much more likely to have genuine Body Life in a house gathering than in your typical institutionalized and professionalized church. It's not impossible, just harder. But the main thing to remember is that there are no "holy places" under the New Covenant. My church is not "the house of God." 7:53 AM Just added to our home page: American "Values." 7:46 AM Let's see, I leave for Africa weighing 229 pounds and return weighing a slim and trim 202. The key was eating only one large meal a day. Guess I won't need this after all. 7:36 AM Dennis Rowan over at Through the Working Chute has published some pretty thought-provoking essays. Here's a sampler. Dennis also runs the Psalm 23 Camp, where church, school, and college groups can develop a closer relationship to God while serving needy families. Kudos to a fine friendly fellow farmer! 7:30 AM A writer responded to our essay Whose Church? cares? I think it is very distasteful. Church: [Name of the church]. Assistant to the Ministers: [Pastor's name]. Not a bad idea. Enter to Serve, Depart to Worship. 7:23 AM In 1 Cor. 1:10 Paul writes "that all of you agree." The term "agree" literally means "say the same thing." The expression is found on a first-century grave stone of a married couple, indicating a harmonious relationship. This does not imply that the husband was a yes-man or that she was a door stop. Harmony is not unison. Different people can live together in harmony even though they retain their freedom to express their own convictions and insights. Acquila and Priscilla worked together in this manner, and I would like to think that my wife Becky and I do so as well. At least we travel together frequently -- a distinctive characteristic of the ministry of Acquila and Priscilla! They had lived together in Ephesus, Corinth, and Rome; and Becky and I have lived together in La Mirada, Basel, Oxford, and now Bradford Hall. Sure, the journey has been bumpy at times, but I wouldn't trade it for the world. And now, as Becky and I enter the fall season of our lives, we do so living, laboring, and sacrificing together for a cause much large than both of us. It's a lot of work, but a lot of fun. I couldn't think of a better way to honor the Lord Jesus through our marriage than by serving Him together. We "agree," as Paul would put it -- which is a pretty amazing thing for two people who couldn't be more different in background, temperament, and personality. 5:41 PM Update: Becky Lynn spoke with Bereket today. All is set for his trip to Addis tomorrow and surgery on Monday. I want to take this opportunity to thank all of you who have prayed for this day. We now wait upon a gracious Lord for the outcome. 1:06 PM Ethiopian Summer Final Part: Below is our Ethiopian "daughter" named Emebet (right). 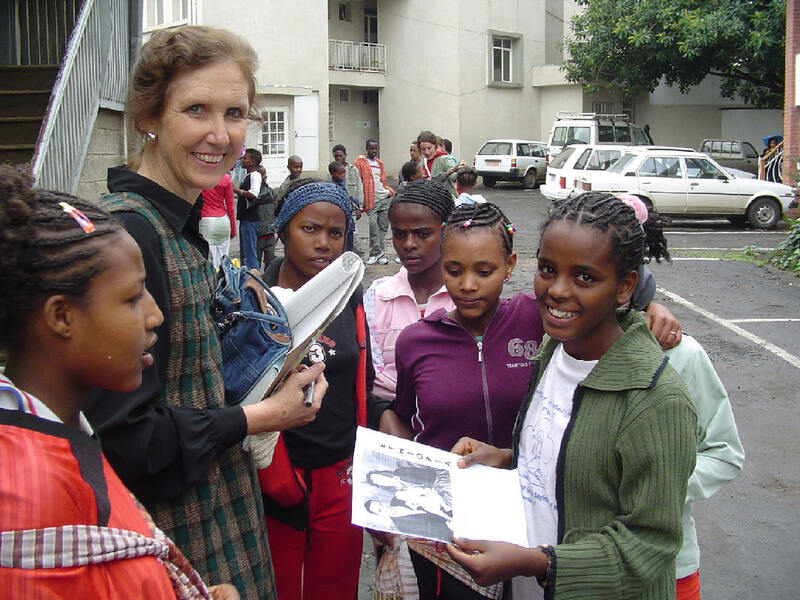 She is orphaned and lives in a children's home in Addis where Becky taught last October. She and Emebet struck up an immediate and lasting friendship. In her hands is a missionary prayer card dating from 1954 that features my in-laws and, in the middle, a cute little blond baby named Becky Lynn. 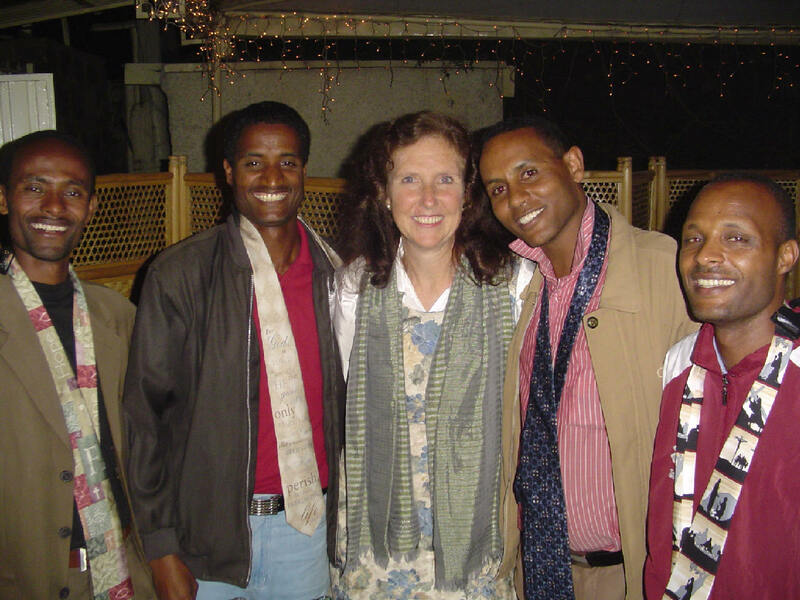 These two "sons" are from Becky's second and final mission station in Ethiopia, a place called Burji. Worku (left) was my student at the Dilla Ministry Training Center last November. 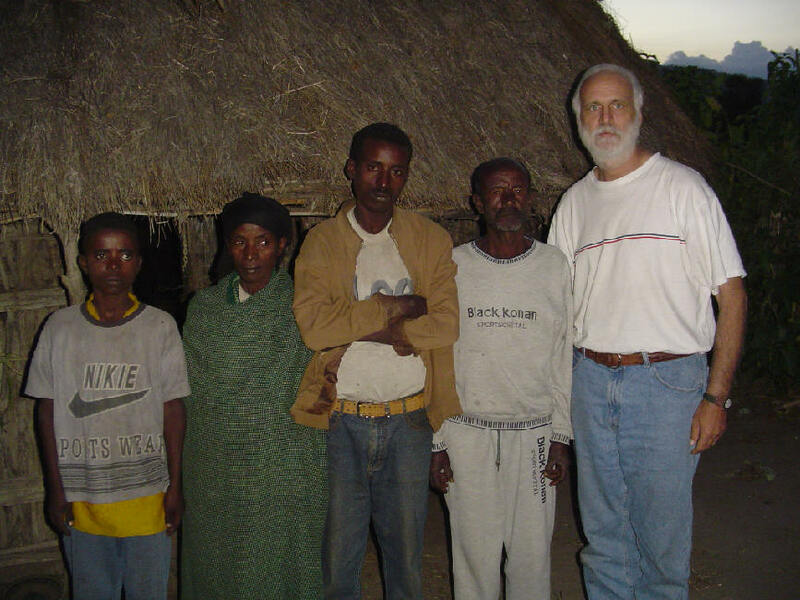 Burge (right) is a full time evangelist and works among the nomads in Southern Ethiopia. Next year he will begin his studies at ETC. By the way, none of these men is married, even though three of them are in their thirties. Very few young ladies in Ethiopia want to marry men who lack a large income. These men are all content to serve the Lord Jesus in their singleness. I met this gentleman at the SIM Guest House the night before I returned to the states. He is showing me his left ear, a portion of which was sliced off when he was a baby. His mother's previous two sons had died in infancy, so the village witch doctor told them that if they ever had another son, the boy would live only if they "ate" him. So when he was born his father sliced off a portion of his ear, wrapped it in bread, and gave it to his wife to eat. They dressed him in girl's clothing and gave him a girl's name until he was twelve, lest the evil spirits discover he was really a boy and kill him. This man is now a pastor in Addis and has a wonderful Christian family. Below is our seventh and final Ethiopian "son." And I have some very important news about him. We just received word that Bereket has been called up to Addis for his cornea transplant this Monday! 7:46 PM If you've got the time or inclination, please tune in tomorrow for the final installment of our Ethiopian Summer series. 7:43 PM DBO is truly honored to have been included in the top ten blogs at Irish Hills. Thank you, Miss Gracie! 7:40 PM Novum Testamentum calls our attention to the top five bookstores in Los Angeles and Orange Counties. From personal experience I can assert that his number one pick is definitely # 1!! 7:36 PM Facts versus fiction in the Da Vinci Code. 7:30 PM Next Tuesday begins my course on the Greek text of Mark. A participant in the study of this great Gospel is a site called kai euthus. It's worth a look-see. 7:24 PM I usually hate to make such judgments, but this website on New Testament Greek is simply phenomenal. 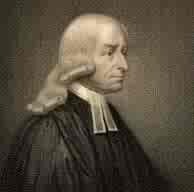 I would urge every Christian to read his famous sermon "On the Use of Money". It has three main points: 1) make all you can by moral means (not engaging in non-Christian ways of making money such as gambling, selling harmful products like cigarettes etc. ); 2) save all you can; and 3) give all you can. Wesley says if you do the first two but not the third, you may be a living person but you are a dead Christian. He would be urging us to de-enculturate ourselves from the values of our society when it comes to wealth and conspicuous consumption. 7:55 PM Only a few years ago very few conservative evangelicals were questioning America's do-goodism at the taxpayers' expense. Politicians are, after all, very good at disguising their ambitions. According to this piece by Sheldon Richman, the unwisdom of our "generous" foreign aid policy is actually keeping African nations in poverty. 7:51 PM Here's a good thought-provoker from Chuck Baldwin. Those impatient to confirm Judge Roberts would do well to remember that his record still needs close scrutiny. So, we slowly go back to our original church that we at first felt good in because of the overall vision and mission that drew us to it in the first place. We find that the leaders do admit freely to you there are weaknesses and flaws and mess ups and ego issues, but still try their best to blend both the bigger meetings and smaller home meetings for the purpose of the mission. They try to be organized, without being "Organized". All this to say, I suppose, that there is no perfect church. 7:46 PM I am currently writing a major paper on what it means to be a "follower of Jesus." Anyone who is inclined to do so might pray for me. 7:43 PM Do I work too much? Not when I compare myself with the apostle Paul. He worked "night and day" as a tentmaker. In Ephesus, he apparently reserved 11 am to 4 pm for his ministry of the word. Compare this with the description of his daily lifestyle contained in his farewell address to the Ephesian elders (Acts 20:18-35) and in his Thessalonian correspondence (1 Thess. 2:4) and the conclusion is inescapable -- Paul maintained a rigorous daily schedule for a man not obviously blessed with the best of health. Christians, says Paul, are to redeem the time because the days are evil (Eph. 5:16). He does not mean merely that the times in which we live are full of troubles but rather that they are morally corrupt. I must therefore seize every opportunity that may present itself to serve Him. With the darkness comes greater opportunities! All this to say to my students: My door is always open, I am NEVER too busy to assist you, and your progress in faith and love means very much to me. May this be your best semester ever! 9:45 PM Our precious little Snow White is now drinking eight ounces of milk at each feeding. Both babies are now getting regular outdoor exercise in preparation for weaning. They will eventually join the rest of the herd. 7:47 PM Do you love teaching as much as I do? 7:35 PM My, what a polite beggar! 7:32 PM 16 things that annoy web users. 7:25 PM The ESV translation has an interesting blog. 7:22 PM With all the happenings at the farm lately, this subject has been on my mind. 7:19 PM The latest addition to our homepage is called Moody's Thirst for God. 7:15 PM Tonight was Justice Sunday II, hosted by Two Rivers Baptist Church in Nashville. "God Save the United States and this Honorable Court!" This announcement that is made when the Supreme Court sits in session was the theme for JSII.... These kinds of events strike me as David trying to combat Goliath by using Saul's armor. He had sense enough to realize that it wouldn't work. Many evangelicals seem to think that encouraging churches to engage in political activities in order to attain desirable moral goals is a wise strategy. I think it is wrong-headed and self-defeating. Read more. 7:05 PM The Christian one-room schoolhouse. 5:17 PM Ladies and gentlemen, I would like to introduce to you two very special residents here at Bradford Hall. The first is the little lady of the house, Miss Snow Ball (formerly Snow White). She is slightly larger than her baby brother and certainly much more rambunctious. She takes very good care of him and is never out of his presence. And here is Midnight, all black except for one white spot to remind him of his mommy's coloring. Midnight laughs at anyone who refers to him as handicapped. "I can do EVERYTHING my big sister does," he says cheerfully. Midnight has become my best friend and tries to jump up on my lap whenever I sit down. I think he'll be just fine, don't you? Well, if you'll excuse me, my babies are reminding me that it's supper time. 9:47 AM In many ways, Grant Frederick is just as ordinary as the next 13-year-old boy. He loves hanging out with his friends and watching television. But the fact that he is also his church's pianist and shuns much of youth pop culture in favor of Southern gospel music and Andy Griffith, and one notices that the McCalla, Ala., boy is an out-of-the-ordinary teenager.Read more. 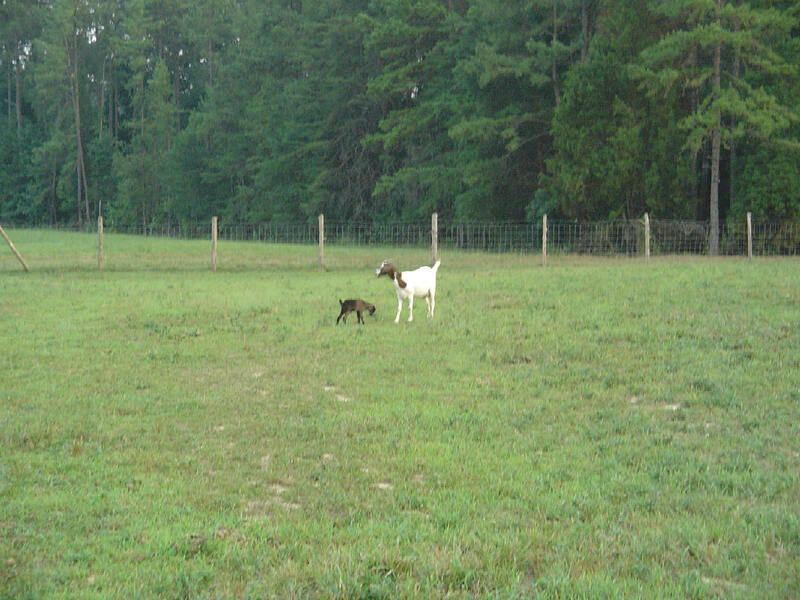 7:40 AM Our baby goats are becoming very active. I may have to get them some of these soon. 7:35 AM Our county in Virginia is noted for its historic homes. Here's an overview. 7:29 AM Another reason why I love J. Gresham Machen. 7:25 AM They're home schoolin' in Switzerland. 7:20 AM "Pastor Niemoeller," the chaplain said, "why are you in prison?" Niemoeller stared back at him and asked, "Why are you not? Read more. 7:18 AM A former student of mine in California has put together an outstanding encyclopedia of New Testament textual criticism. Kudos, Rich! 7:15 AM I am resting up today in preparation for preaching tomorrow and school starting up next Monday and Tuesday with faculty workshops and then my first class on Thursday. Though it's only been three weeks, I can hardly wait to get back into the classroom. In case you're interested, my course syllabi have been posted here. 7:07 PM The latest addition to our home page is called Whose Church? Thanks for your recent article on Short Term Missions. I have a question about your sentence: For my part, I preached every Sunday in various churches (Baptist, Mennonite, Pentecostal, Reformed Orthodox, etc. ), taught Beginning and Intermediate Greek, and ministered to the persecuted believers. I have never heard of "Reformed Orthodox". Is this an Orthodox church that believes in the doctrines of grace? or something else? Thanks very much. Bryan D.
1:10 PM Just returned from the doctor, who says I have either bronchitis or pneumonia. While I was gone we had a very interesting visitor at Rosewood Farm -- the grandson of Corporal Anderson Boyd, the former owner of the farm who served in the 59th VA Regiment and is buried in our cemetery. What happened in Germany can happen in any nation where men reject God and His rule. We see advancing atheism within our own civil realm. This book is a wake-up call to sinful men and societies in need of God’s grace. It is well written and full of factual information. Stein does a masterful job of interweaving Niemoeller’s reflections of how Germany had reached that low point in its national life with his own historical account of life as a prisoner. 3:32 PM Mr. Matthew McDill's latest essay is an excellent discussion of the long ending of Mark (.pdf). Congratulations, Matt! 3:28 AM Corey Keating has produced a helpful discourse analysis of the book of Titus (.pdf). 3:25 AM Sincere thanks to Stephen Dray for his review of my book on the Gospels and to Eric Sowell for his review of my book on linguistics. 3:18 AM Ancient pool is located in Jerusalem. 8:44 AM The latest addition to our home page is called How's Your Garden? 7:23 AM This morning I'm rushing around taking one of our pregnant nannies to the vet to get her blood checked out. We suspect CEA but pray it is something much less serious. 7:21 AM Cincinnati Christian University has some recommendations to make if you're wanting to expand your library of Greek textbooks. 7:18 AM So you think you know German? 7:17 AM Central Baptist Seminary is featuring a conference on the Da Vinci Code. 7:15 AM Phil Newton has made available several of his excellent sermon series on biblical books. Go here for a listing. 7:12 AM Your prayers for one of Floppy's surviving kids (named Midnight) would be greatly appreciated. He was born with a cleft palate and runs the risk of aspirating whenever we bottle feed him. 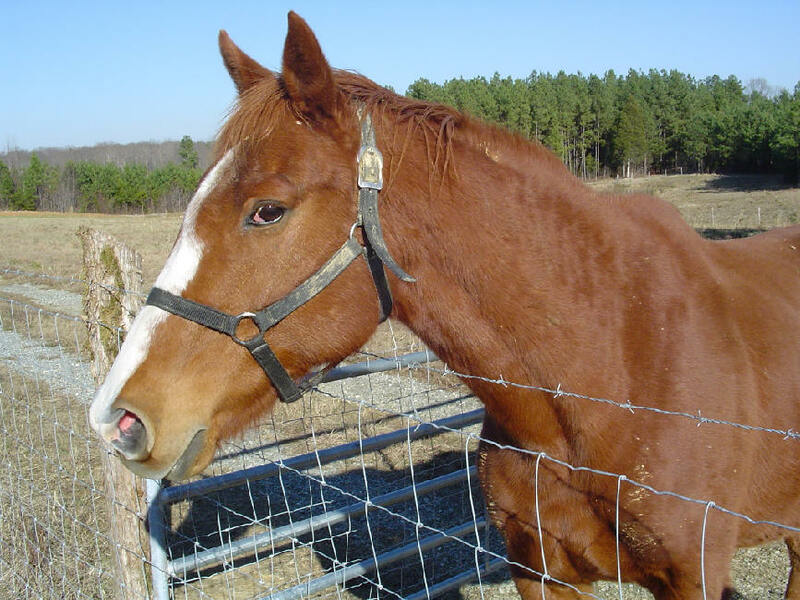 Once he is weaned we believe he will be fine. 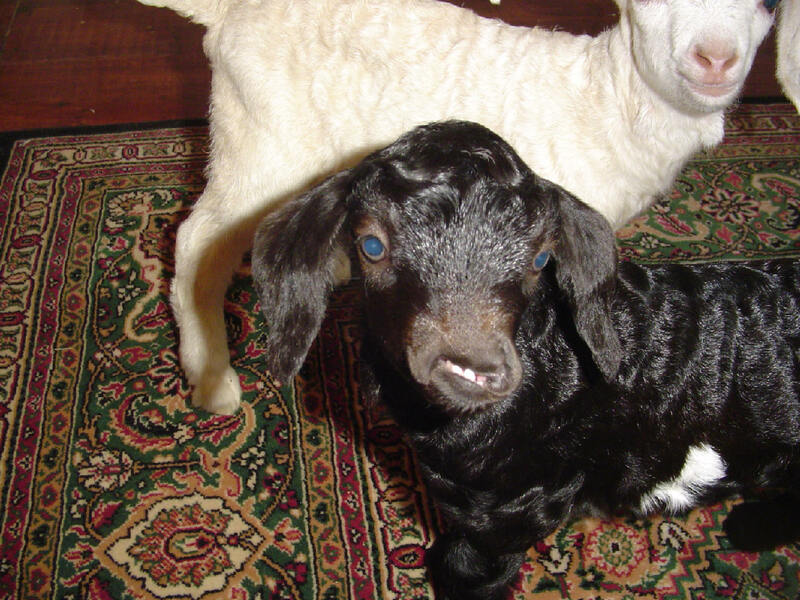 Right now he and his little sister (Snow White) are resting comfortably on our breakfast room carpet. A friend of mine has recently moved and is looking for a local church. He shared with me some of the frustrations he has with program driven churches. I shared with him several articles from DBO on the church. He answered, "I totally agree with all of these articles. So let me ask you a question...what does Joe Churchgoer, who is in agreement with Dr. Black, do? In my case, if we go out looking for another church, what church do we look for?" 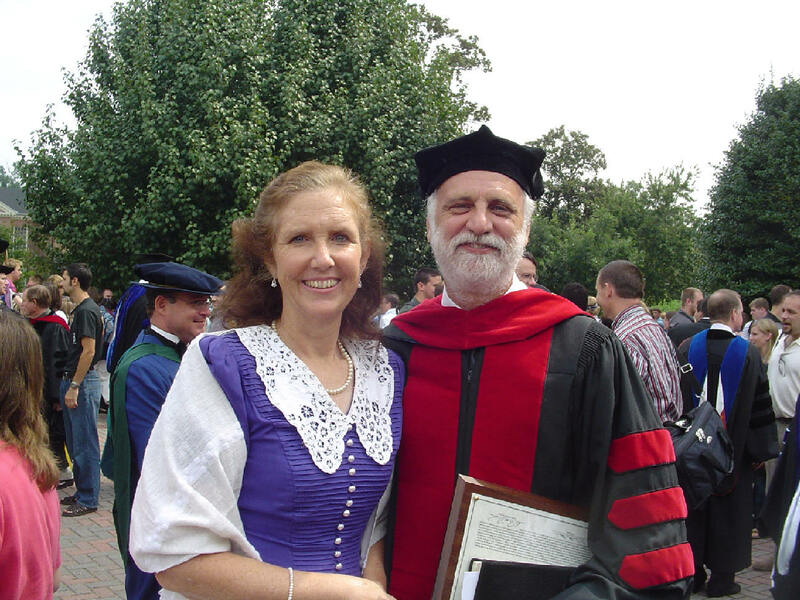 Thank you for your ministry through DBO, SEBTS, and I am sure countless other ways. Your thoughts will be greatly appreciated. 1. It's easier to give birth than raise the dead. New church plants are, I believe, much more successful at this. Remember the heart of a biblical church: Is there sound teaching, genuine sharing, an emphasis on the Lord's Supper, and mutual prayer (Acts 2:42)? If you can get two out of four, you're probably doing good in this day and age! Dear Brother Dave: I have just read your wonderful article entitled, "Why We Must Preach Jesus As Lord". My heart has been very heavy concerning the "easy believism" that is being dished out in the church today. Even the Independent Baptist churches (of which I am a member) are giving watered down altar calls. I really do not see anything in the scriptures that suggests that altar calls are needed. 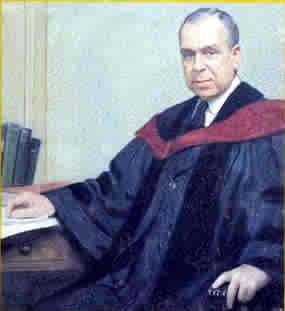 If I read the accounts of the preachers that were preaching during the "great revival" times correctly, they preached such a strong message of following the Lord that the Holy Spirit convicted the sinners to the extent that they grabbed onto their pews to try to keep from going forward to give Him their hearts. I wonder what would happen today if one of our preachers gave a sermon like Jonathan Edward's "Sinners in the Hands of an Angry God"? He would probably be tarred and feathered and run out of the church. He certainly would be labeled unloving and judgmental. When a preacher says, "every eye closed and no one looking around - I won't come back to embarrass you but if you feel convicted come to the altar" isn't he giving the sinner the idea that it is an embarrassment to come to Christ. Christ said, "For whosoever shall be ashamed of me and my Words, of him shall the Son of man be ashamed, when He shall come in His own glory and in His Father's, and of the holy angels." (Luke 9:26) I believe that there are many who have been told that they are saved who have never really invited the Holy Spirit to come into their hearts and change them As you so rightly said they have accepted Jesus as their Savior but not their Lord. I praise God for men like you and you colleagues Al Cronkite and Paul Proctor who have a true zeal for God and are bold enough to speak out on issues that most preachers are too timid to address from the pulpit. May God continue to bless and use you for His kingdom until Jesus Christ our Lord comes again in Glory!!!!! In His Love, T. G.
5:29 PM Becky and I would like to thank all of you who sent us condolences on the passing of Floppy and her baby. 5:05 PM Ethiopian Summer Part Three: Our weekend dash to the southern province of Alaba, which is 95% Muslin, saw several roadside stops for "drawing" evangelism -- I would draw the portraits of the children and my Ethiopian friends would pass out gospel tracts in Amharic and speak to the adults. The portraits were great ice-breakers, and we felt no hostility whatsoever toward us from the followers of Islam. Upon our arrival in Alaba I met with the believing father (middle of the photo) of an eight-year old girl who had been murdered, her headless body having been thrown into the river. The family comes from a village that has been experiencing intense persecution in recent weeks. Later in the day we visited an outlying village where we showed the Jesus Film in the local meeting hall of the handful of believers who live there. Many Muslims were in attendance. After the movie I met with the Christian family of an eighteen-year old young man who was murdered last December. We all gathered around this precious family and prayed for them. They are determined to remain in the village as a witness to the love and forgiveness of Christ. The young man's killer, Mohamed, is serving a 12-year sentence. On the way back to the town of Alaba I noticed some lights in the distance. "What's that?" I asked. "The prison," was the reply. "Is Mohamed there?" "Yes." I determined then and there that I would somehow visit Mohamed before I left Alaba. The next day I preached in the main town church of Alaba, where Becky and I have offered to present a free Amharic Bible to any child under 12 who memories ten passages of Scripture (not individual verses!) by next December. The first passage was Psalm 23, and every child that successfully recited the psalm (word perfect) received a portrait from "Abba Black." Before departing Alaba the elders were able to arrange for me to visit the prison where Mohamed is incarcerated. Upon our arrival I was taken to the chapel and asked to wait there until I could be escorted to Mohamed's cell. Slowly the prison chapel began filling with curious inmates ("Who IS this foreigner? "), and when I was asked to speak I turned around and found the chapel filled to overflowing. I preached the love of Jesus for about 15 minutes, and as the prisoners slowly filed out I noticed one young man still sitting there, weeping uncontrollably. It was Mohamed. A guard had brought him to the chapel and he had heard the entire gospel. I spoke with him privately and presented him with a blanket I had purchased for him in town. 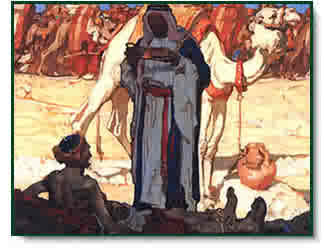 It turns out that I was the first Christian to visit Mohamed -- but not the last. The elders now visit him regularly to minister to him both physically and spiritually. Who are the least of Christ's brothers? They are the lowly of the earth -- the hungry, the stranger, the naked, the sick, the prisoner. Show them love and you show love to Christ. When the Good Samaritan helped the battered Jew by the side of the road, he cared for him in a physical way -- he bound up his wounds, fed him, and provided for his needs. This has nothing to do with the modern purpose-driven or health-and-wealth gospel, with its emphasis on temporal happiness, but simply reflects Jesus' concern for the body and soul of a person. Prosperity preachers are false prophets, and they have led many astray; but we must never forget that believers are to be known not only for their doctrinal purity but also for their practical charity. In AD 361 the Emperor Julian complained, "The impious Galileans [Christians] support not only their own poor but ours as well." We who profess the name of Christ can do no less today. 8:21 PM The latest addition to our home page is called Why We Must Insist On Every-Member Ministry. 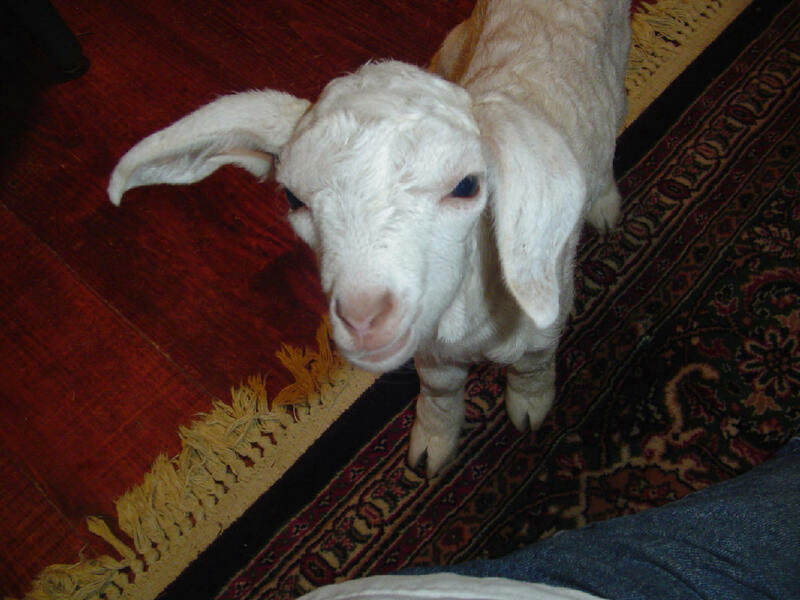 7:25 PM Floppy has always been our favorite goat. She had a mother's warmth but cuddled with you like a helpless baby. 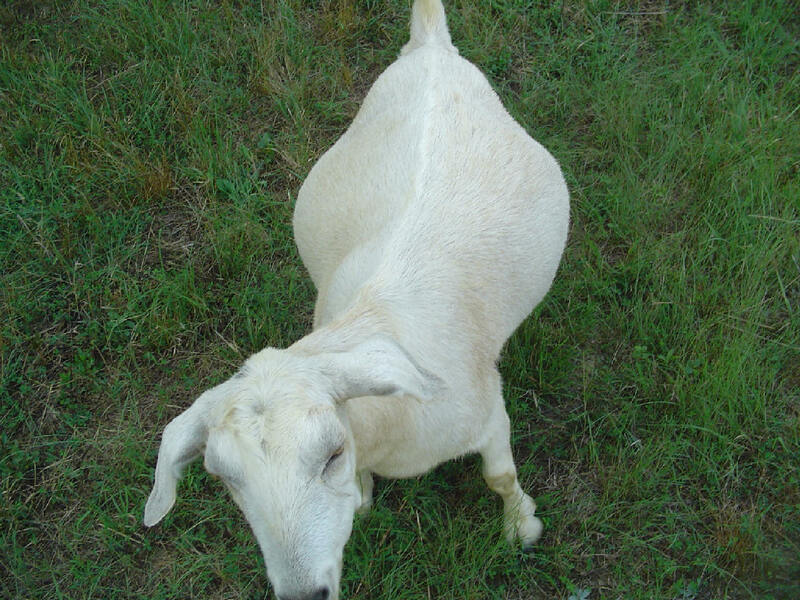 If any of our goats would have made a perfect mama, it was Floppy. You could see it in her smiling blue eyes. And the Lord blessed her with not just one or two kids, but with triplets. This morning at 9:00 am Floppy died. Her infection was too much for her body, weakened from a traumatic childbirth, to fight. At 11:00 am, my son and I buried her, along with one of her babies who also did not make it. 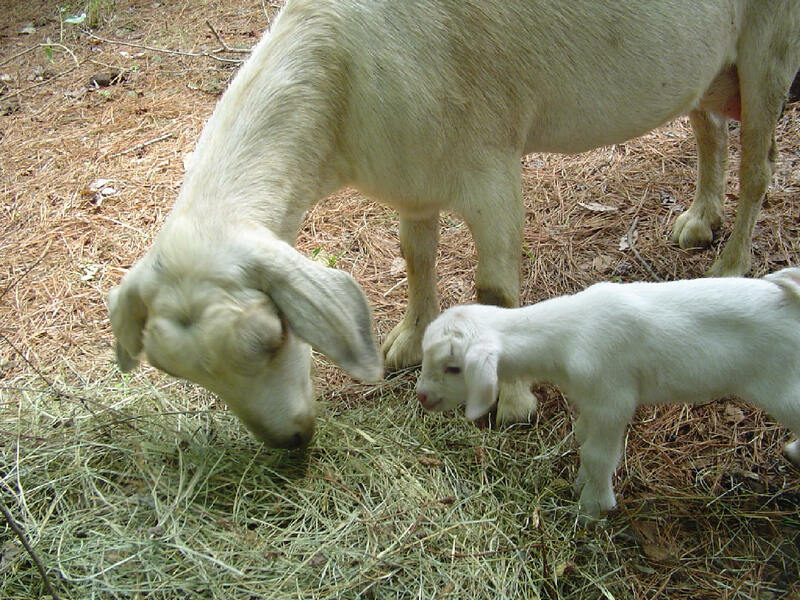 All Rosewood Farm mourns the loss of Miss Floppy and her beautiful child. 8:46 PM Good evening from beautiful Rosewood Farm in Virginia. It's been quite a day. My son and I got the posts in and the basic framing done on a new shed extension for storing one of our balers...Floppy took ill and required a visit from the vet (she has a serious uterine infection that we are treating with strong antibiotics)...repaired the lawn mower but still trying to figure out what went wrong with the weed eater...Becky baked several cakes for friends of ours...I am in the process of writing my sabbatical report...trying to catch up on emails from Ethiopia...a pastor from Illinois is visiting Bradford Hall for a week on a personal retreat and we having many wonderful conversations around the table...still praying for rain as our ponds are very low and pastures very dry. Coming to the end of a day like this makes one extremely grateful to know a Lord who "rests" the weary. I hope all of you had a wonderful day in the Lord also. 8:41 AM This just in. I'll check into it ASAP. I just noticed that http://daveblackonline.com/ is working fine, buthttp://www.daveblackonline.com/ is not working. UPDATE (8:44 PM): My web host informs me that if you're still not able to access DBO you may need to wait 24 hours for your ISP to update. Also, pressing the Refresh Button may help. Thank you for your patience, and please inform me if you are still having difficulty accessing our site. 5:28 PM The latest addition to our home page is called The Value of Short Term Missions. 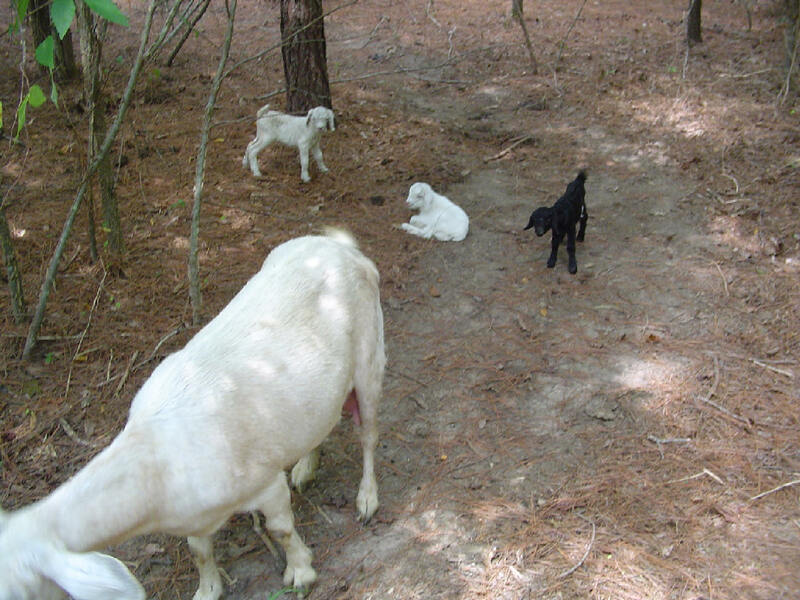 3:16 PM Early this fine Sunday morning Floppy had her babies -- triplets no less. Mother and children are doing fine, thank you. It's amazing how perfectly formed these babies are -- and less than a day old! 8:55 PM I've been collecting our eggs this week in my son's absence (he's been renovating an old farm house about three hours from us). The young ladies have been overly generous with us this week. Yesterday, for example, I gathered a grand total of 26 -- count them, 26! -- eggs. 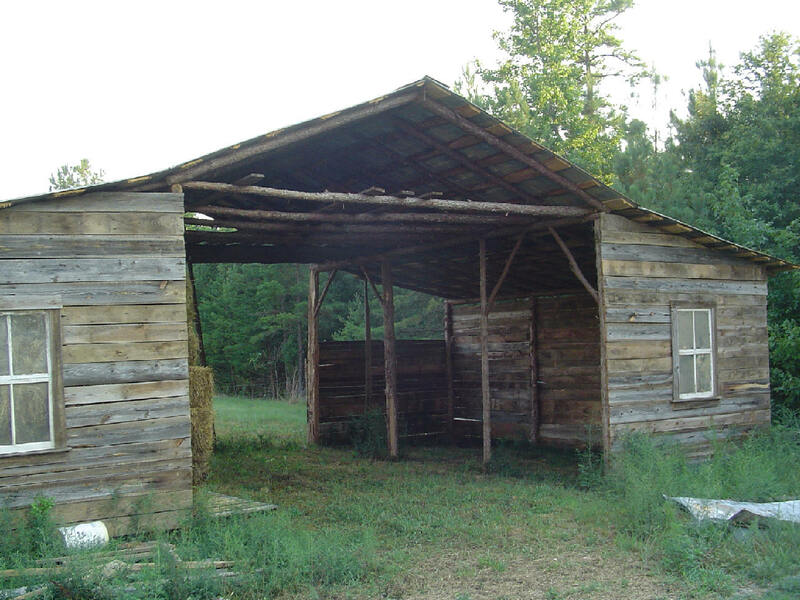 Alright you homesteaders out there. Can any of you beat 26 eggs in one day this past week? Don't you just love your chickens!!!??? I have hesitated to say hello and welcome back because you don't know me and I don't have a blog. I decided to say hello anyway because you both are such a blessing to me via the internet. I love hearing about your missionary work, your beautiful animals, your faith, the surf , theology etc. etc....The picture of you two at dinner is lovely. Happy Anniversary and may God give you many more years together serving Him and loving each other. Sincerely and in Christ, J. W. PS I will be looking for old laptops! "This is true love to any one," said Tillotson, "to do the best for him we can." 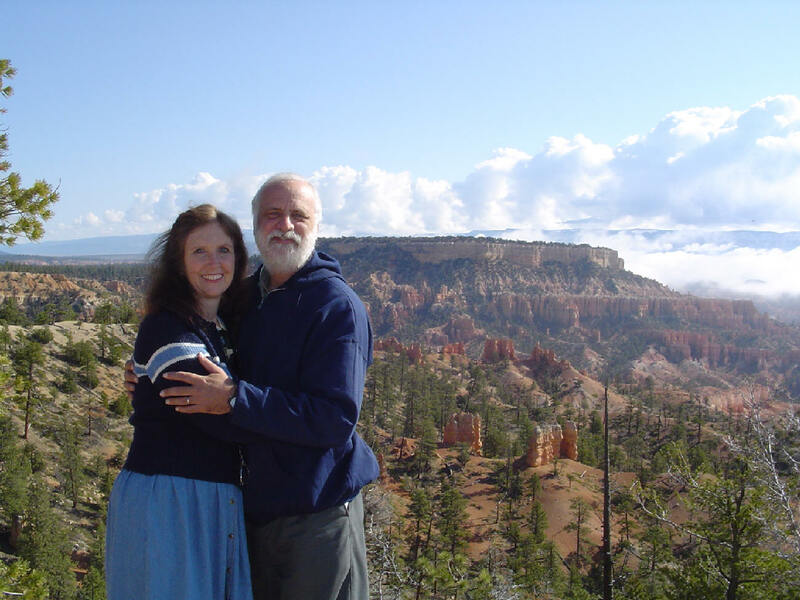 This is what God has done for Becky and me -- the best He can, which always brings with it incalculable blessings, far more than we could ever deserve. May He do that for you, dear unknown correspondent, today and every day! 8:49 PM Our server was down all day. Glad to be back. 8:34 PM Join us in welcoming to the world Miss Daisy's baby. She surprised all of us by giving birth this afternoon at about 5:00 o'clock, before Floppy! This is the closest we could get to her and her baby. Below: The proud father, Rusty. Traveler joined us in watching in open-mouthed amazement at this miracle of God. 7:23 PM Persecution of Christians in Eritrea (a neighbor to Ethiopia) continues. 7:04 PM The latest addition to our home page is called Church Business Or Kingdom Business? 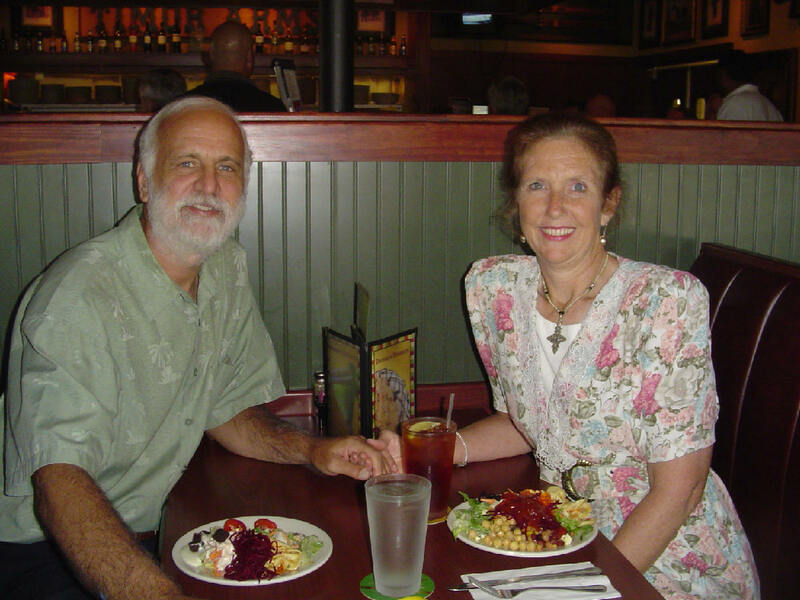 6:11 PM PHOTO OP: My wife and I enjoying a meal at Ruby Tuesday's this afternoon. We spent much of our time planning our upcoming trip to Ethiopia this winter and reminiscing about this summer's adventures. In one month we will celebrate our 29th wedding anniversary. How I thank God for my wonderful bride! 2:40 PM Laptops needed for Ethiopia! If you have a used laptop you would like to donate for Ethiopian pastors, Becky and I will see that it is put to good use. A CD reader is a must. Entire theological libraries are being put on CD, and a single laptop will provide a rich source of Bible study tools for these leaders. We can take several laptops with us this December when we return to Ethiopia, and others we can send with friends and returning missionaries. If you can help, just write and let us know. Precious metals and savings offer only temporary protection, while returning to a sane way of life provides more safety for a family than even a large stash of gold and silver. Don’t take that to mean that I don’t think its important to have real money - I do. 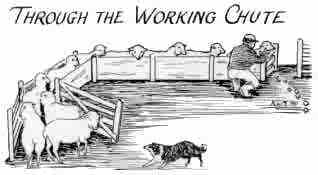 I just think that most people would find greater benefits in planting gardens, raising a milk cow, and in general getting away from the typical pattern of working all our hours away from the home as a specialist for a wage with which we purchase all of our goods form others. 8:40 AM Whether it's visiting a nursing home or mowing the neighbor's yard or doing this, it's refreshing to see families thinking of others and not only of themselves. were back and found I had a lot of catching up to do…Glad you and the Mrs. are back and look forward to reading about your trip!! I'm sorry that you feel that your confessions of a recovering neo-con was ineffective. I started re-reading my copy on Monday! I was curious to see how your observations have played out. Do not be discouraged. Oldest known Bible to go onlineA manuscript containing the oldest known Biblical New Testament in the world is set to enter the digital age and become accessible online. A team of experts from the UK, Europe, Egypt and Russia is currently digitising the parchment known as the Codex Sinaiticus, believed originally to have been one of 50 copies of the scriptures commissioned by Roman Emperor Constantine after he converted to Christianity. The Bible, which is currently in the British Library in London, dates from the 4th Century. 7:58 AM When "You're welcome" mutates into "No problem." 7:50 AM Added Rarick, "Sure, Tahiti has gnarlier waves, and there are more perfect waves in Indonesia. 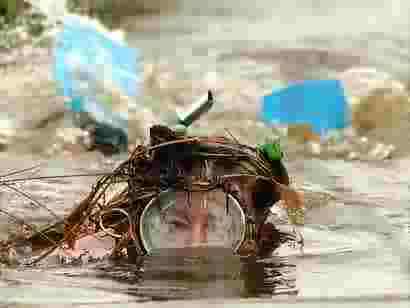 But Pipeline is still the wave that all other extreme waves are measured by." To which I say, Amen. 7:40 AM A must read. 7:35 AM Even though my Greek students are learning the ancient, not the modern language, it is still helpful to know some modern Greek expressions. Here's a few for starters. 7:32 AM Not everyone accepts Roe as the settled law of the land. 7:30 AM Kids, take the USA Map Quiz! We're almost done with the new/old horse barn. Nathan put the tin roof on while I was gone. Doesn't the barn look like it's been here forever? Floppy is ready for motherhood. She is about to pop! All 8 of our females are pregnant. My wife is tracking this website closely. 6:28 PM The Bikehiker has some incredible photos of his "surprise" lilies. 6:03 PM Need some reasons to home school? Here's 20 of them. 5:44 PM The Backwater Report has an interesting discussion of the politics -- and theology -- of the Constitution Party. 5:15 PM The latest addition to our home page is called Why We Must Preach Jesus As Lord.Coming soon: "The Value of Short Term Missions." 11:43 AM I think tonight might be the big night -- for spaghetti, that is. (Prepared by my wife, naturally.) I have already scarfed down my favorite snack: Doritos con salsa! Then my post-Ethiopia cravings will be o'er! 11:40 AM Lost in Germany: parental rights. 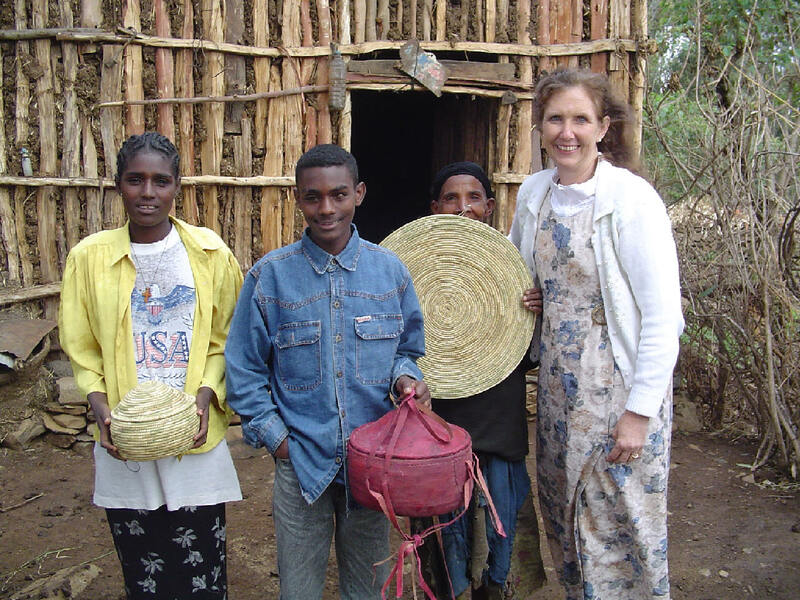 9:51 AM ETHIOPIAN SUMMER PART TWO (text by Becky Lynn): What a joy and special blessing from the Lord to be able to visit Bereket's home! Their home is one room, with a small courtyard and garden. The only furniture in the home is a simple log bed. During the daytime, their 4 sheep and 1 donkey are grazing in the fields, kept by Ashageru, Bereket's sister; at night, the sheep are brought into their home, and the donkey stays in the courtyard as a "watch dog." 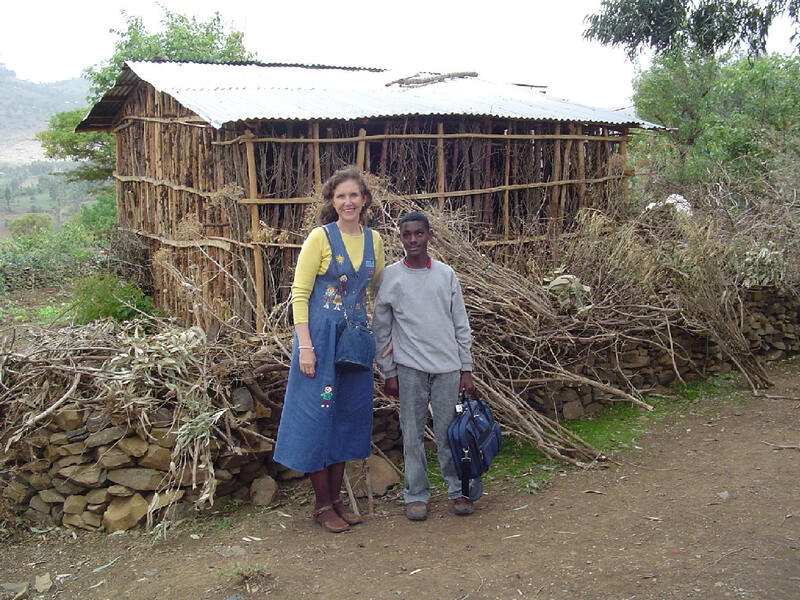 Bereket's mother, Enquahonich, gathers firewood from the countryside and takes it into the city of Gondar to sell; if it is a large load, she puts it on her donkey; otherwise she carries the wood on her back. They grow corn, potatoes, and a few other vegetables in their garden. 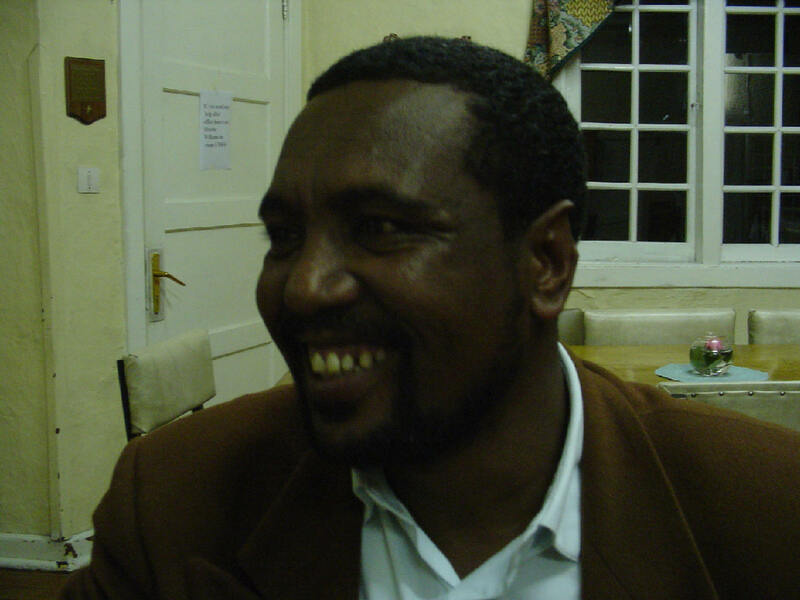 (Bereket's father died about 6 years ago.) Isn't Bereket handsome in his new clothes? These were gifts of love from his Christian brothers and sisters. Below I'm trying my hand at making injera. This is the national bread, made of soured tef and other grains. Enquahonich allows the tef mixture to ferment for 4-6 days. The injera is eaten at every meal, and is cooked on a large clay "frying pan" over an open fire. 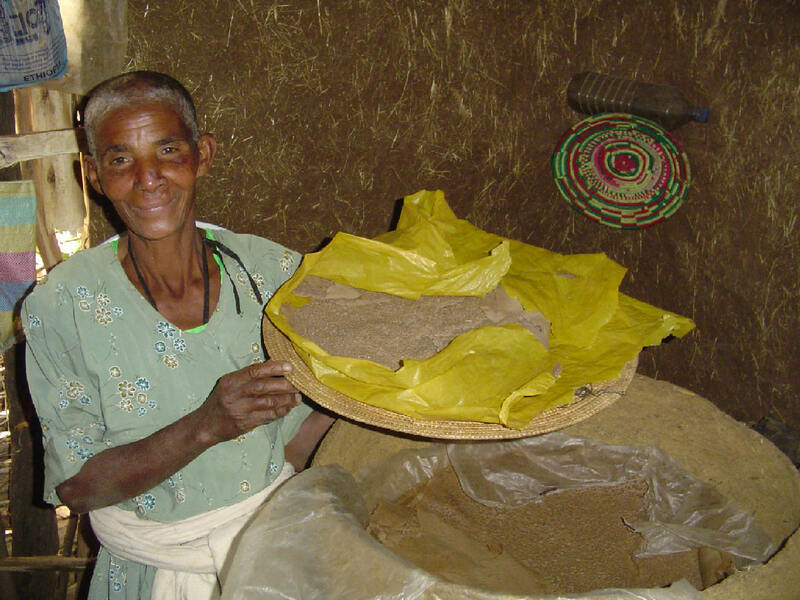 Making good injera is a skill that every Ethiopian young lady learns early. Enquahonich is showing you her stack of injera. UMMMM, good! Ashageru is Bereket's 17-yr-old sister. She is a beautiful young lady! 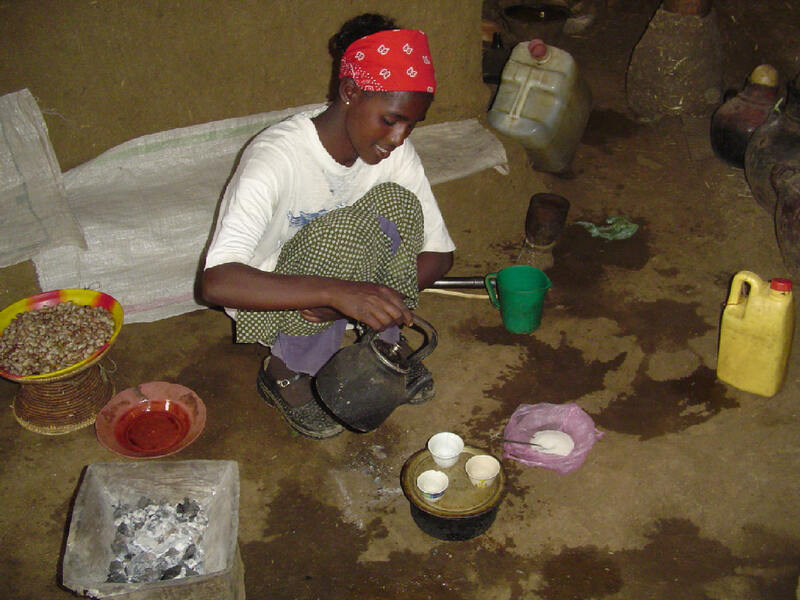 While Enquahonich and I were making injera, Ashageru was preparing coffee. No instant coffee is good enough! 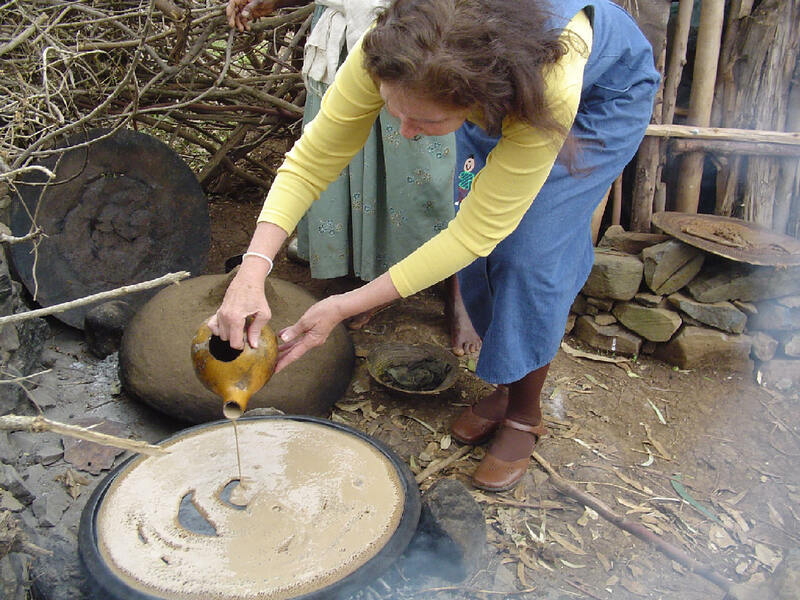 Ethiopians gave coffee to the world, and they are very particular about how it is made. First, Ashageru washes the beans in a little water brought from a river nearby. 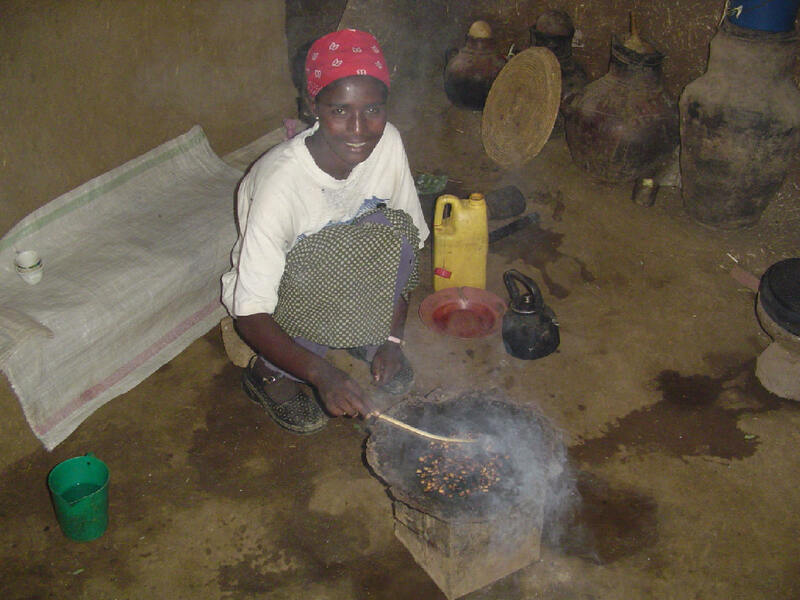 Then she roasts the beans over a charcoal fire in her home. After they have cooled, she grinds the beans to a very fine powder. Then the powder is boiled gently until it is just the right strength; it is often served with spices and course sugar. The coffee cups are handle-less, like Chinese teacups. Note the plastic and large clay water pots to the right; Enquahonich brings water from a river about a mile away. The plate to the left has boiled beans. The charcoal stove is in the foreground. What a joy to share life with Bereket and his family! Here we are enjoying injera and cooked cabbage -- delicious! We are sitting on a built-in mud couch; Bereket sleeps on this couch when he is at his mother's house. Saying goodbye was hard to do. These are such precious people! While in their home, we showed the Jesus Film on our laptop. It was in their native language and is probably the only movie they will ever see in their lives. 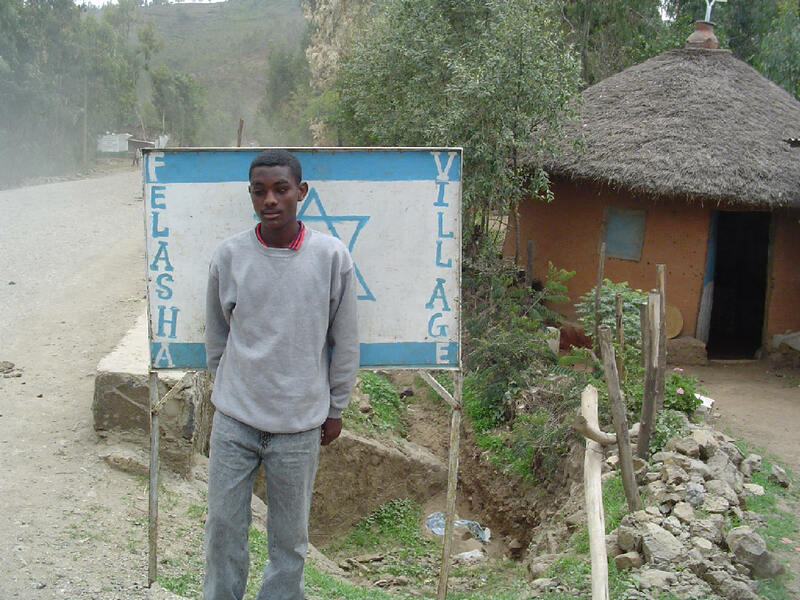 Although Bereket has some Jewish blood, his family is now Ethiopian Orthodox. The Orthodox church dates to about 400AD. It is a mixture of Judaism/OT Law, NT doctrine, superstition, church hierarchical mandates -- very similar to Roman Catholicism in the West. Notice that over the door are sacred things, including a bottle of "holy water" designed to protect their home. After the Jesus Film, Bereket said to me, "I like my new religion! Jesus loves me, and I love Jesus!" He was all smiles! Our Lord Jesus has exchanged the dead ritual and superstition of the Orthodox church with His living, resurrected, loving self! Bereket is still helping his friend sell tourist things in the Falasha Village, just like when we first met him. But he has a whole new life. Now he is faithfully attending one of the 6 Protestant churches in town, and three times a week he takes a horse cart to the home of a teacher, where he receives both academic and spiritual instruction. 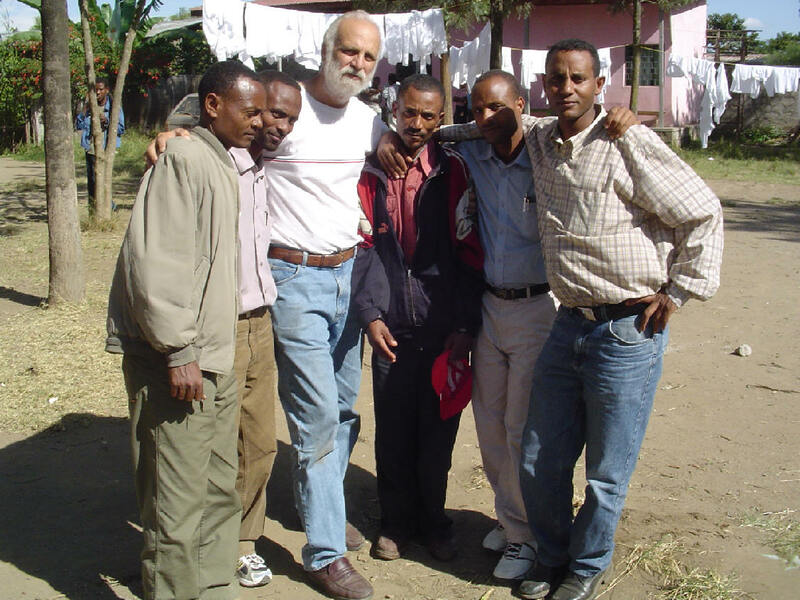 We are getting very favorable reports from many people about Bereket's spiritual growth. "He is so happy!" "He is growing spiritually!" "He is so smart!" By our Lord's grace, that's our son! Words cannot express our deep thankfulness to God for His marvelous work of grace in this young man, and to you for your prayers and love toward him. Any day we are expecting a call from the Menelik II Hospital in Addis Ababa, and Bereket will go to have his cornea transplant surgery. Please continue to pray for him, and also for the salvation of his friend, his mother, and his sister. 7:34 AM Some pithy quotes from TTL. 7:23 AM Tom Ascol, Executive Director of Founders Ministries, now has his own blog. 7:20 AM More and more homeschoolers are studying Greek. 7:15 AM Some reasons why blogs are so popular. 7:05 AM ETHIOPIAN SUMMER PART ONE: My first official duty upon arriving in Addis Ababa was to attend the graduation banquet for the Evangelical Theological College and to deliver the commencement address the next day at their beautiful campus. Here I am at the banquet with a young man named Ermias (left), one of the students my wife and I had the privilege of supporting. The text of my address was Philippians 1:9-11, Paul's prayer for abounding love among the saints. It was a day of joyful celebration and remembrance of God's faithfulness toward these hard-working students during their years of schooling. 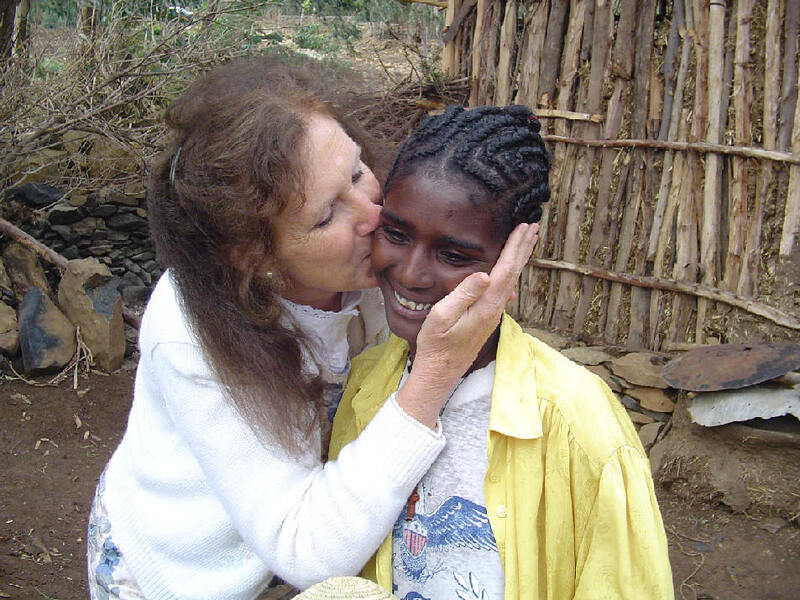 Ethiopians enjoy warm hugs and plenty of kisses. The following Monday I began teaching my Intermediate Greek class at the Meserete Kristos College (the Mennonite seminary in Addis). The student in the red shirt came all the way from Canada to study with us. We used my It's Still Greek to Me as our basic text, supplemented byUsing New Testament Greek in Ministry and New Testament Textual Criticism. These men were outstanding students, each one. 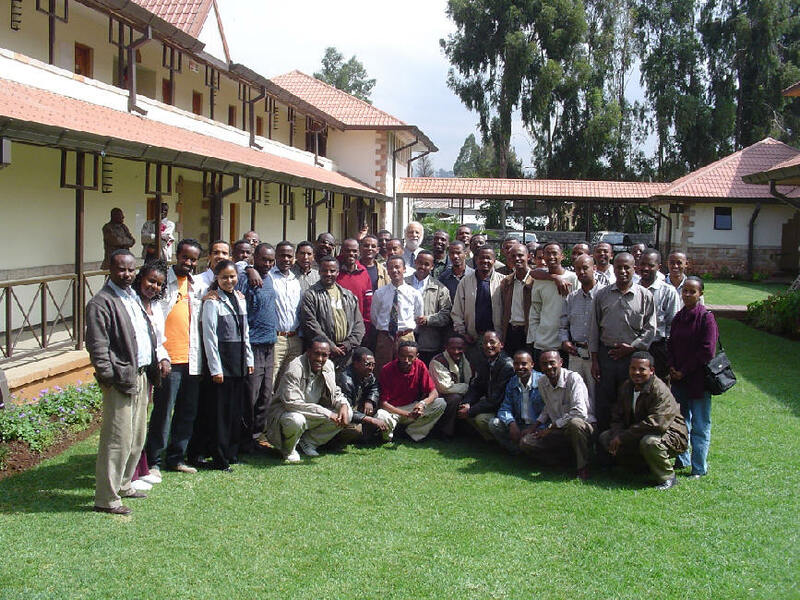 Our first two Saturdays in Ethiopia were spent speaking to the leadership of the Addis Kidan ("New Covenant") church. 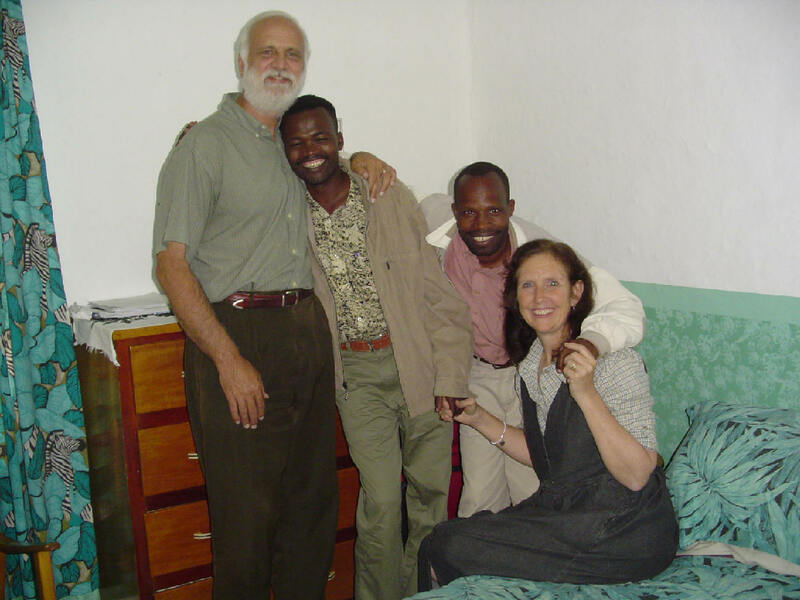 This group was founded by Southern Baptist missionaries in the 1990s. Becky's topic was the role of the pastor's wife, and here she is with her class. I spoke on "Growing the Church -- God's Way Or Ours?" and tried to emphasize the priority of the Bible in all we do as the people of God. A week and a half into our trip my Beginning Greek class started at ETC. The course was based on our text Learn to Read New Testament Greek. We hired a professional videographer to tape each session, and we will edit the footage into DVDs for distribution this fall to anyone interested in studying Greek. 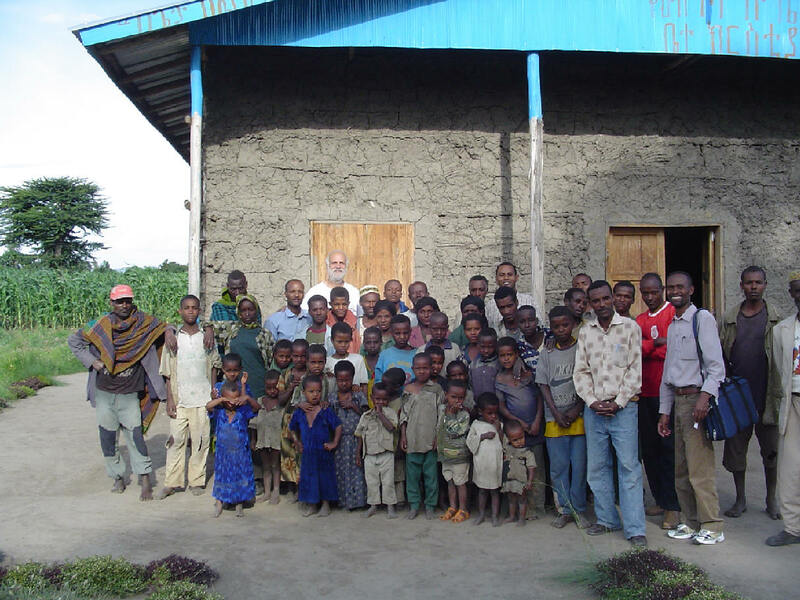 Next Update: Our visit to Gonder in Northern Ethiopia to visit Bereket and his family. 6:49 AM Wednesday morning shout out to the Engstrom family. Yes, I do wish that I could attend your conference, but I have agreed to teach a New Testament course in Richmond, VA, on the 26th and 27th. By the way, I'm still patiently waiting for that homemade spaghetti, but in the meantime my wife has cooked for me such delectables as chicken and dumplings and pork roast. Boy did I miss her cooking! 5:05 PM The consequences of our decisions. Thank you, Mrs. Austin, for this powerful reminder. 11:43 AM A brother sent me this very kind email in response to our essay on the needs-based church. Read your commentary. I say, Amen, amen, and amen. Needed to be said. Should be broadcast all over the world. Thank you for eloquently expressing what I believe. 11:26 AM The latest addition to our home page is called Controversy for the Truth. Number One Rule: Don't open up a jar. 6:25 PM Our family's next Civil War reenactment will take place in Alamance County, North Carolina on September 10-11. 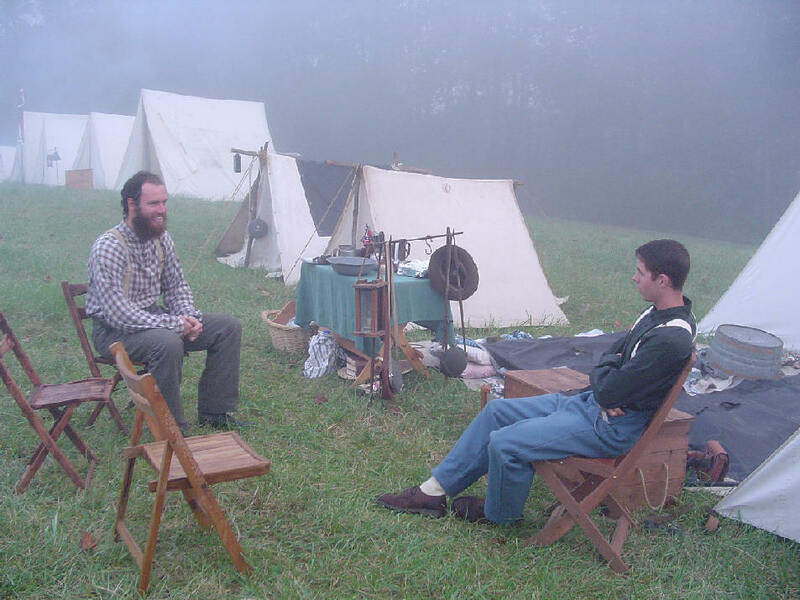 The event includes battle reenactments, an 1860s baseball game (blue v. gray, of course), and a period dance (called by our son Nathan, aka Stonewall, pictured below). Come one, come all! 6:20 PM Southern Baptists discover home education. 5:58 PM Becky and I would like to thank all of you for your prayers during our absence and for the kind emails we received welcoming us home. 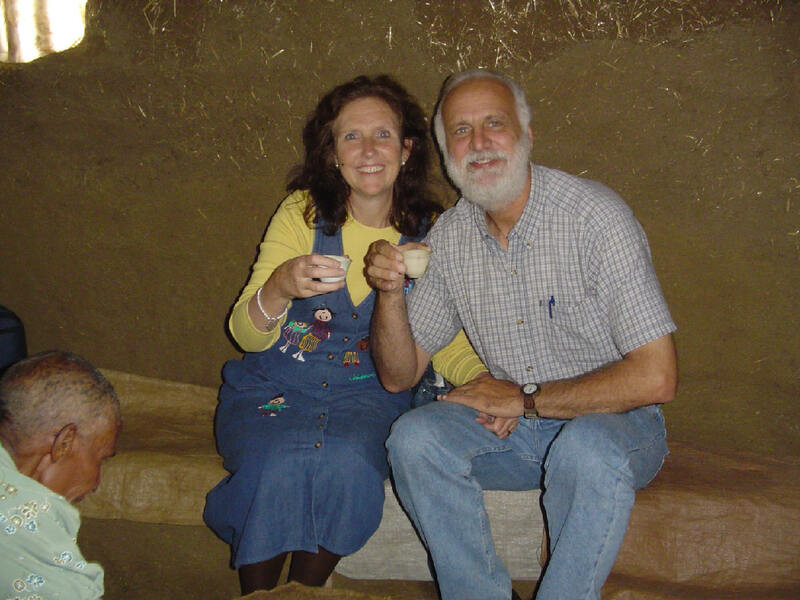 God has called my wife and me to work in Ethiopia. We don't know why. We do know that here is a work that is far beyond our ability to do. Yet nowhere else have we experienced the victory of Jesus Christ in such a wonderful way. God's power is demonstrated in our weakness. What grace! Thank you all, and God richly bless you. Dave and Becky Lynn. Chad Degenhart is right: where we live is a lifestyle choice. So is how we spend our time and energy. John Calvin once said, "The whole world is assigned to be reduced under the obedience of Christ, that by spreading the Gospel as widely as they could they might everywhere erect his kingdom." The obedience of Christ -- whether home or abroad -- is all that matters. What a simple life pursuit! What an easy yoke! Free from restless, purposeless activity! 10:34 AM Europe remains the world's greatest mission field. For more go here and here. 9:27 AM Monday morning shout-out to Lady Carmon, Miss Friedrich, and our good friendsJonathan and the Austins. UPDATE: Thanks also to Mrs. Shepherd and family. Glad you are doing well! 4:45 PM The latest addition to our home page is called Saying Goodbye to the Needs-Based Church. 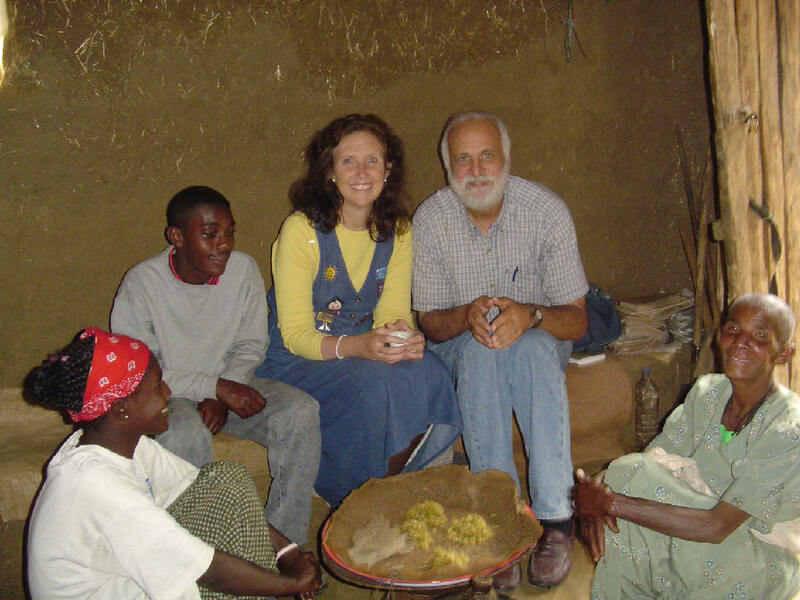 4:40 PM On Sunday, August 14, Becky and I will be reporting on our trip to Ethiopia during the 11:00 service at our home church, Averett Baptist Church in Averett, Virginia. You are cordially invited to attend. 4:01 PM What a joy to be able to attend church together in Virginia after eight long weeks. 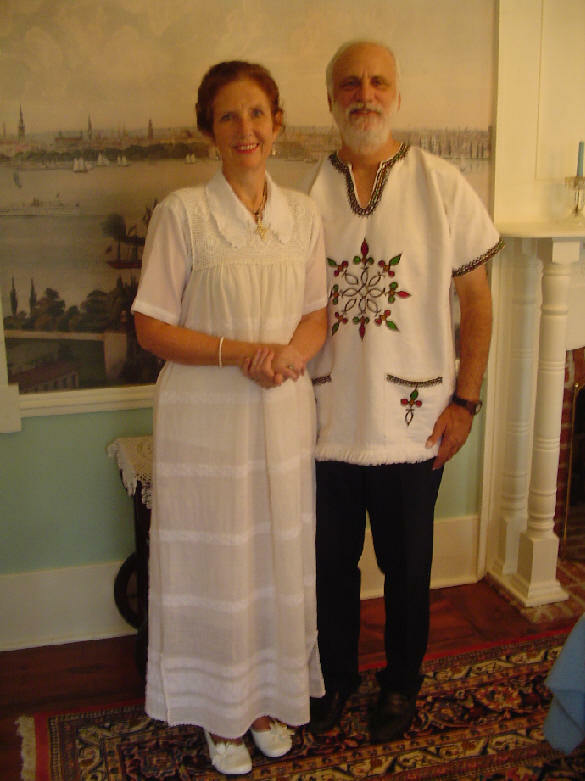 Becky is wearing a beautiful traditional dress given her by one of our Ethiopian "sons." In the coming days I will be sharing more about these seven young men whom the Lord has allowed us to mentor. 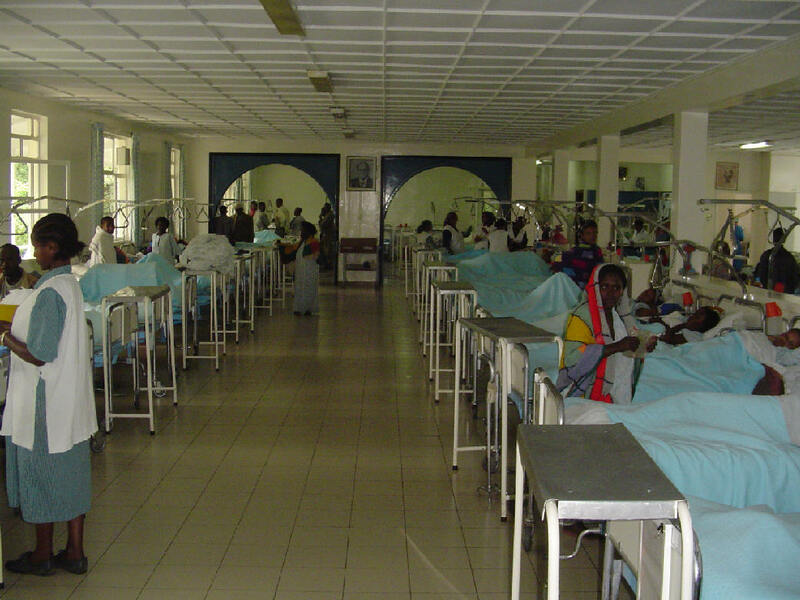 9:19 PM The Fistula Hospital in Addis Ababa, Ethiopia, ministers to women in need of obstetric fistula surgery. And it certainly does a wonderful job. Below is a shot I took of the post-op ward. When I was visiting the church in Alaba, a village evangelist told me about a woman named Zemete who recently had two still-born children and needed to go to the Fistula Hospital for surgery but had no money for the bus ride. So we brought her to Addis where she successfully underwent surgery. She is a very quiet, humble farmer but a sincere believer in the Lord Jesus. Zemete was actually more worried about her three children back in Alaba than she was about her own condition, so we had the evangelist provide food and clothes for them. But the most important event happened last Sunday afternoon when two of our students showed the Jesus Film in her village and her husband repented of his sins and trusted Christ as Savior and Lord. In a week's time she will be reunited with her precious children and her Christian husband! 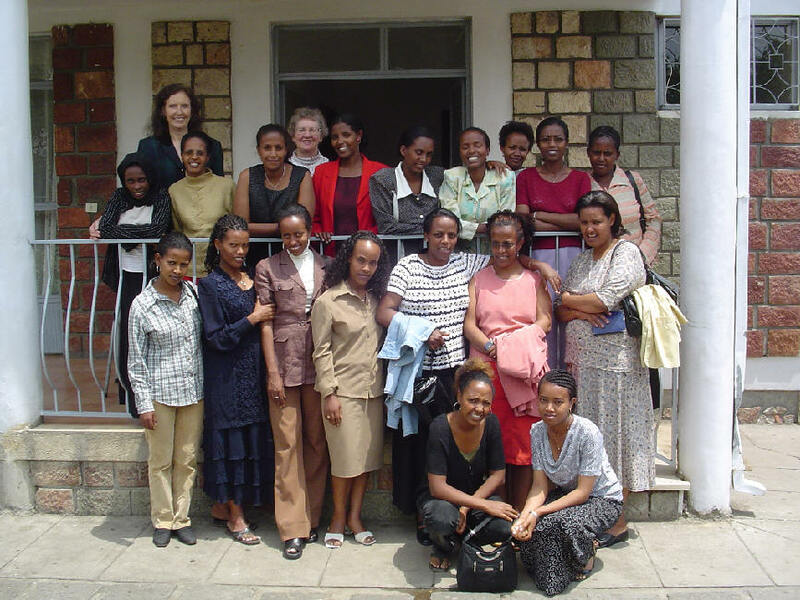 For more on the outstanding work of the Fistula Hospital in Addis Ababa and how you can help, please go here. 9:12 PM If you're looking for online Bible translations here's a site that will help. It includes a link to one of my all-time favorites: Williams New Testament. 6:24 PM I have a number of outstanding young Ph.D. scholars studying with me. One of them has his own website to which he has posted several excellence essays. Check them out when you have a moment. 5:40 PM On our way to Ethiopia my wife and I stopped off in Zurich to revisit various sites, including the ancient Minster Church where Zwingli once preached. It was a nice respite before beginning our ministry in Addis. This evening at Bradford Hall we will be listening to a CD we purchased for our organist son featuring the Minster's famous instrument. Incidentally, Zwingli banned organs from Zurich churches in 1524! Zwingli was one of the first Protestants to abandon the use of instruments during worship services. In fact, Zwingli was so alarmed by the abuses to which music was put, in his view, that some of his services did not have any music whatsoever. He found instruments to be an offense, quoting ancient fathers for support. He was attempting to return to a practice followed in most of the Eastern Orthodox churches even to this day, but exceeded them in his distaste for music per se, regarding it as a distraction from single attention to the preaching of the word of God. Much of the Reformed movement fell into agreement with the banning of instruments, although none followed the elimination of music. 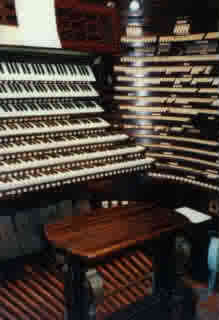 The organ in particular was denounced by leaders of the Reformed churches, as being a prominent example of what they meant by the corruption allowed into worship by the Roman Catholic church. Zwingli recommended that a better use for an organ would be to sell it and give the money to the poor. This Reformed aversion to musical instruments, first adopted by Zwingli, became at times a sticking point preventing cooperation with the musically rich Lutherans. 4:31 PM The latest addition to our home page is titled O, Ethiopia! 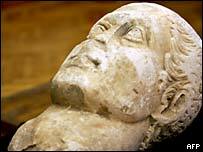 I am finishing an essay on the Constantinian Compromise. And, no, he did not proclaim "religious freedom." "Jesus is a cowboy and that's why I want to be a cowboy, too, because I want to be just like Jesus," says the Rev. Don Martin.